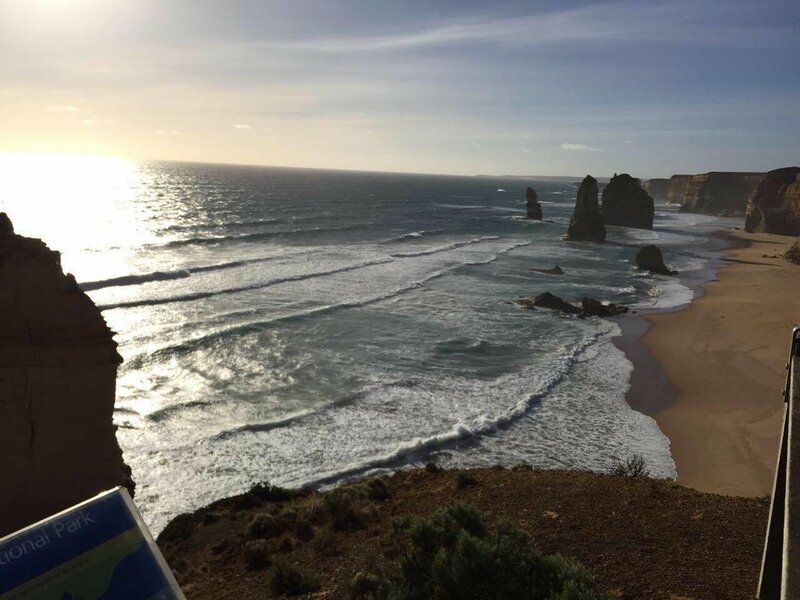 Great Ocean Road is on the South-Eastern side of Australia. 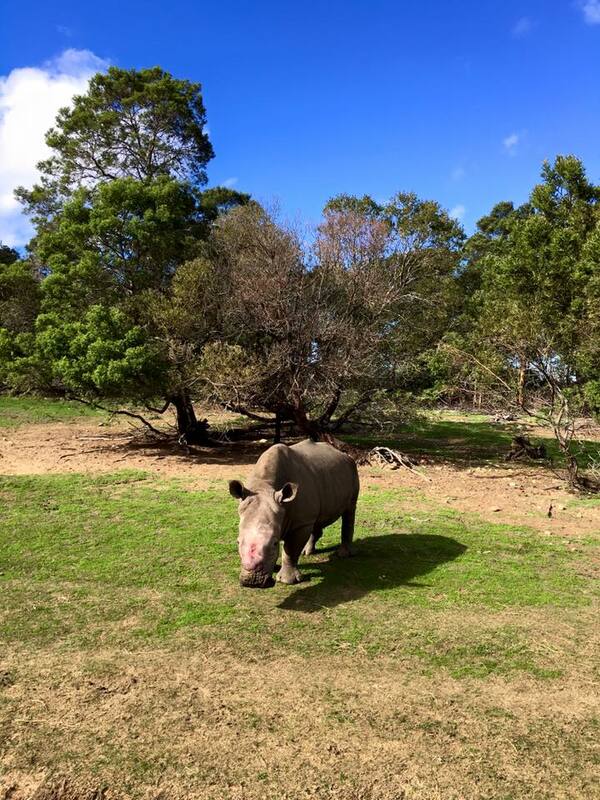 About 250km in length, visitors usually opt to drive from Melbourne. The road itself is a beautiful winding path along the cliffside. 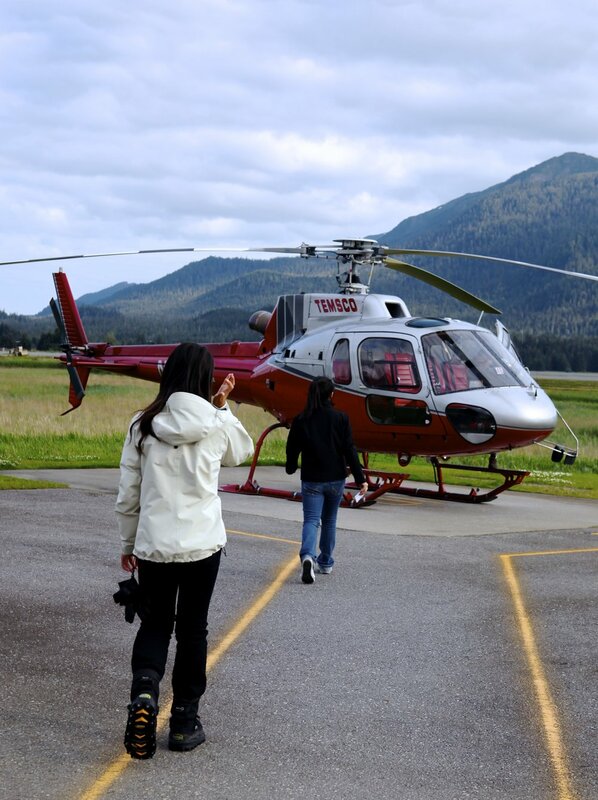 Cameras required, helicopter tours optional and available at certain stops along the route. 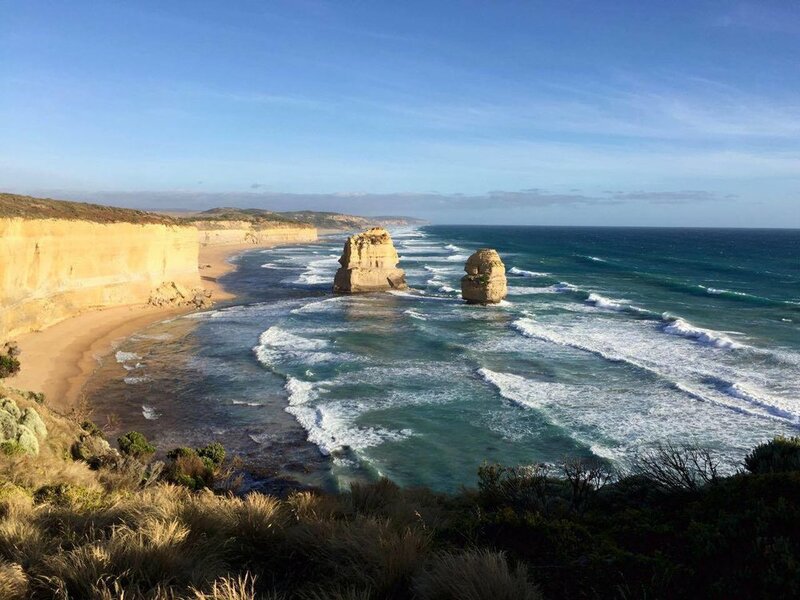 Of note are the Twelve Apostles, rising out of the waves, singular in their splendor. 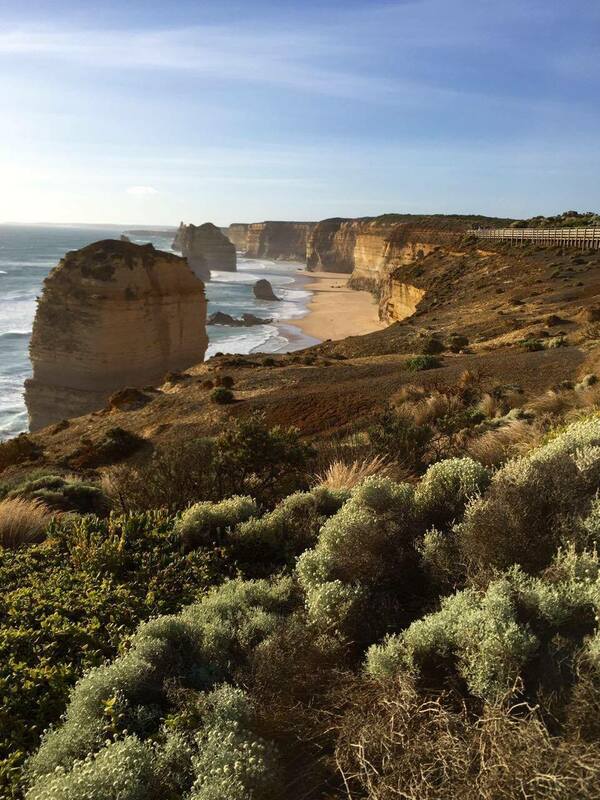 With the climate, sunshine, and ethereal temperament, Sydney is a easy city to fall in love with. No shot of Sydney's skyline is complete without the Sydney Harbor Bridge (left), and the Sydney Opera House. Tourists have the option of climbing the bridge, awarded with panoramic and unparalleled views of the city. Harnesses ensure your safety. A closer look at Sydney Opera House, which still hosts performances on many nights. 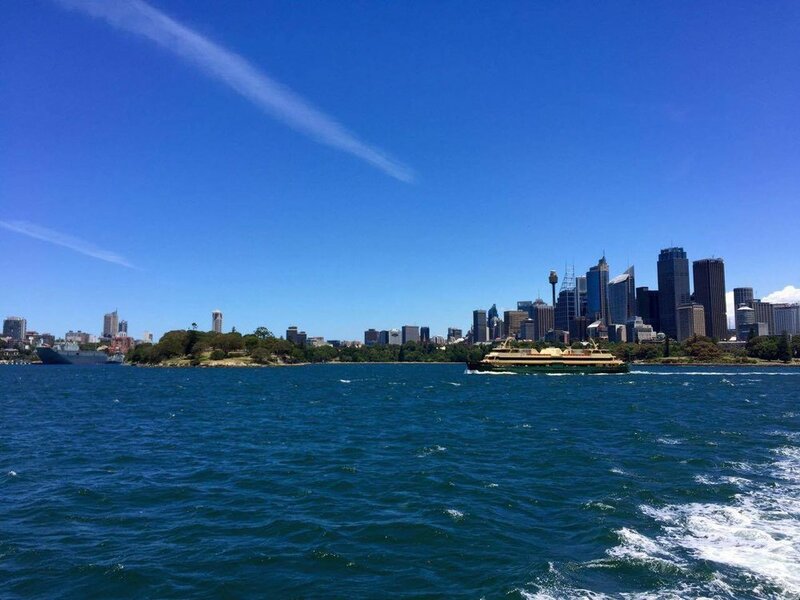 For an alternative view of Sydney Harbor, opt to take the ferry from Circular Quay. Ferries to nearby Taronga Zoo also depart from the same location, and makes for a great day trip to discover koalas and kangaroos up close. The taller buildings in the distance make up Sydney's commercial center, where many offices can be found. 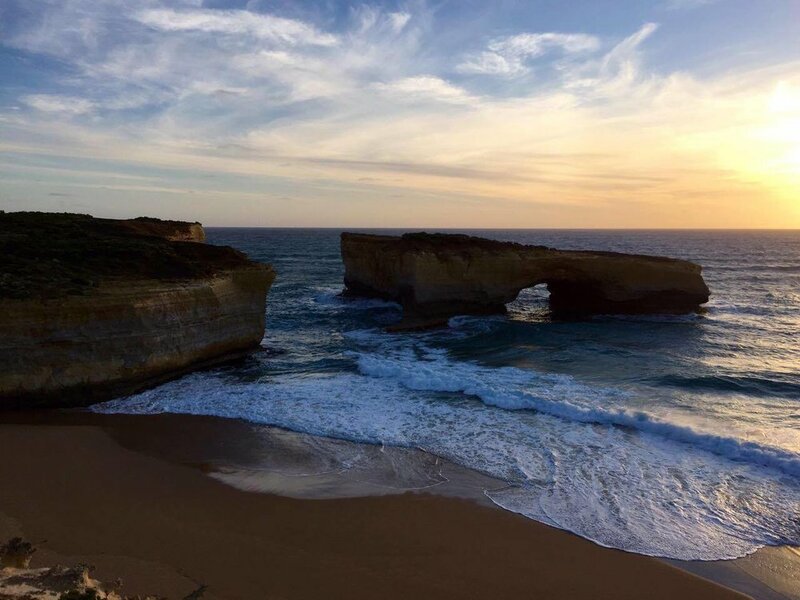 Bondi Beach is a short drive from city center. 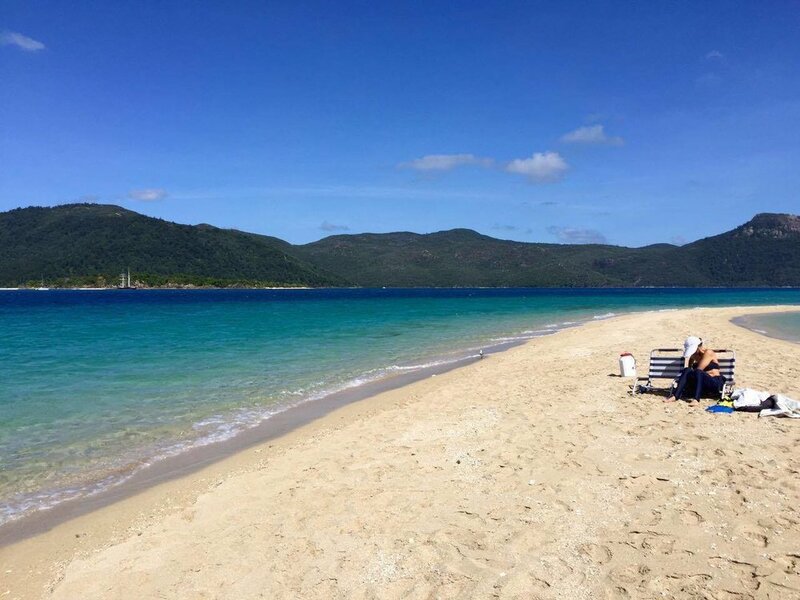 One of the most renowned beaches in the world, it has no shortage of sand, water, or people tanning. A must-see at the Great Barrier Reef is the Heart Reef, though I must say its smaller than expected (third photograph, center). 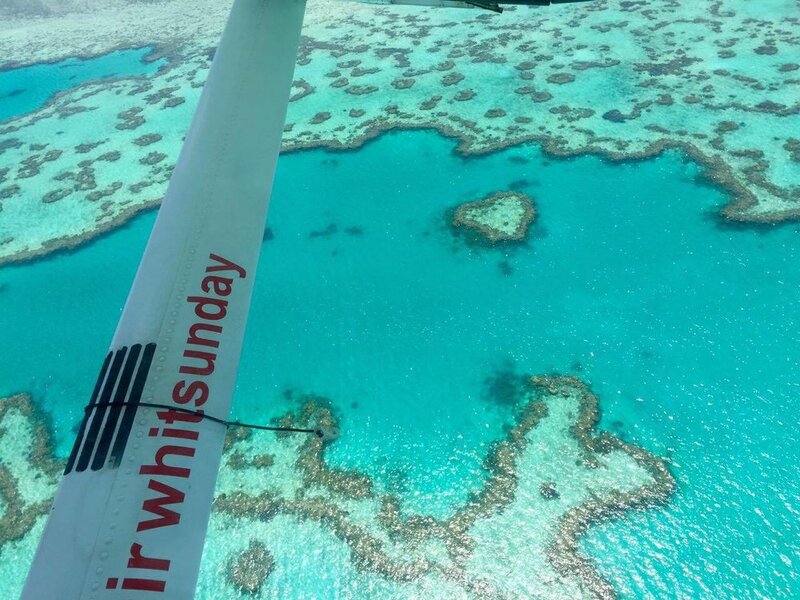 Tour operators will charter seaplanes to fly guests over the reef. The colors are astounding, and changes in depth and darkness depending on the weather and time of day. 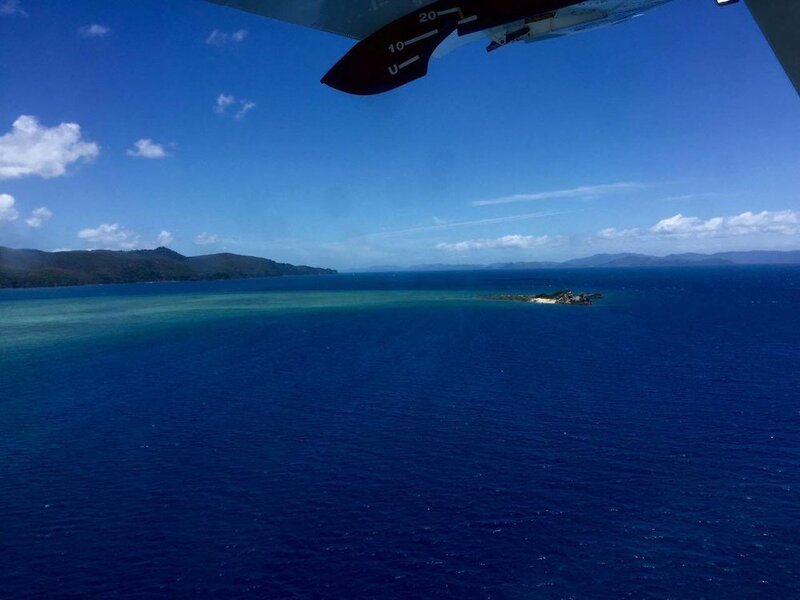 Typical tours to the more remote areas of the reef will include seaplane transfer for an aerial view, in conjunction with a boat tour for snorkeling opportunities. Without a underwater camera, I was unable to take any pictures of the dynamic life beneath the surface. 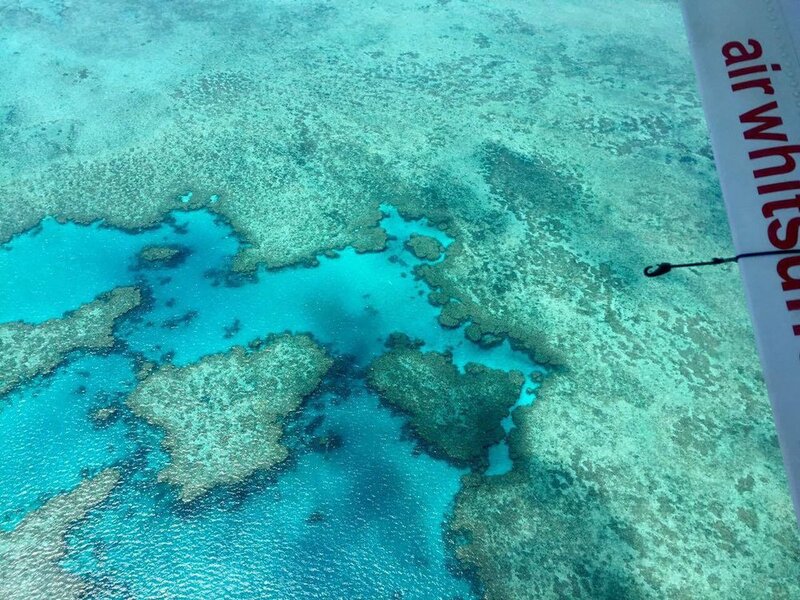 Suffice it to say, however, the real attraction of the Greater Barrier Reef lies underwater. Personally, I felt the overall vista from the plane was more impressive, though the heart remains a symbol of the reef. Breathtaking. I rarely encounter places that appear exactly as their presumably retouched photographs, but Whitehaven is one such place. Seaplanes leaving and pick-up content guests. There's a real temptation to hide, and stay on till the next plane arrives. Make sure to get on the last one out, though, as there's likely no fresh water on the island. I was a little miffed to leave Whitehaven, no amount of time spent on that beach will ever, ever be enough. 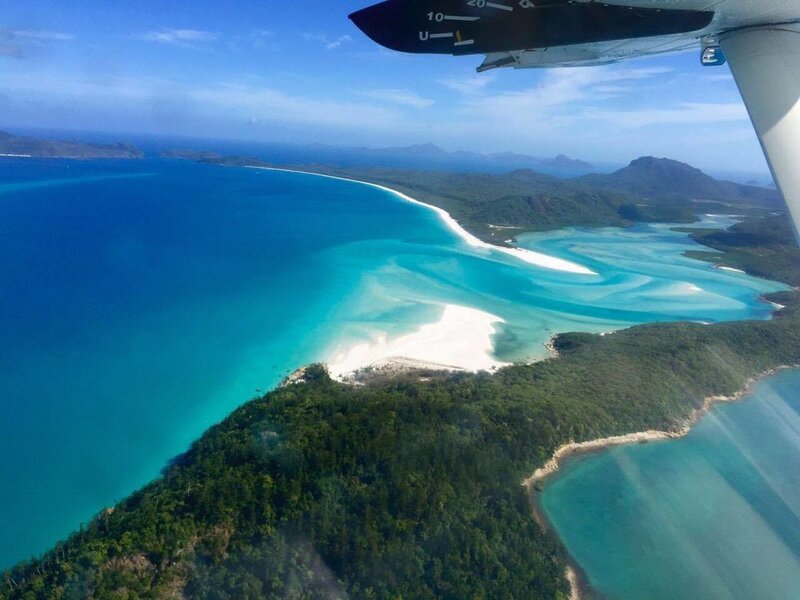 The flight back, however, was just as scenic, as the water changed colors depending on the depth of the water. Truth be told, one could probably create an entire website dedicated to things to do, eat, and see in Paris in of itself. Though I've been twice, my photos are somewhat limited, so I've only highlighted some experiences. More to come when I inevitably return! Despite my visits to Paris, I've never once ascended the Eiffel Tower. 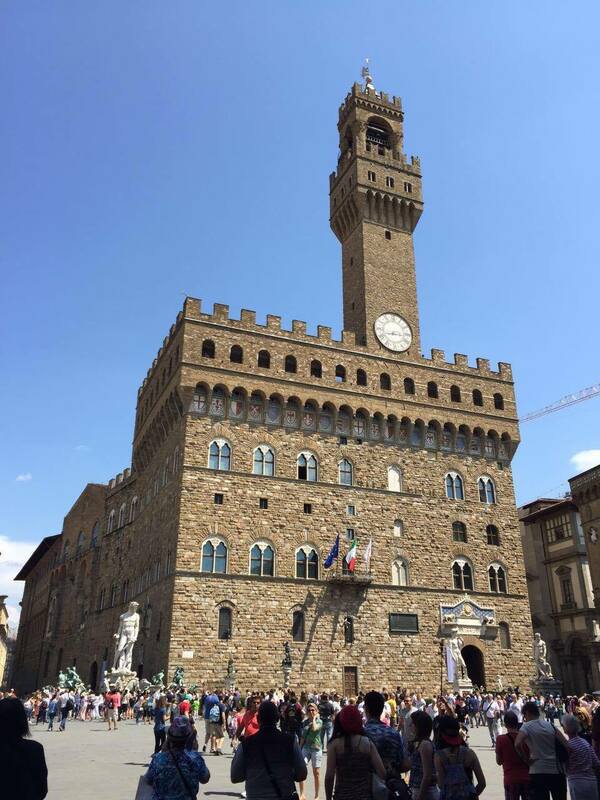 I hear, however, that one can skip the oft-long lines by making a reservation at the restaurant on top. Worth a try, perhaps? 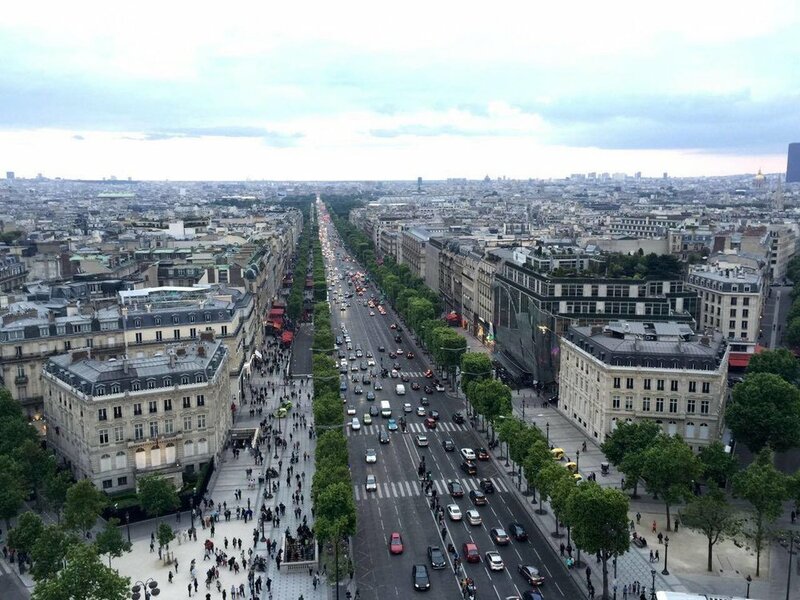 The top of the Arc de Triomphe makes for a great platform to get some panoramic shots of Paris. 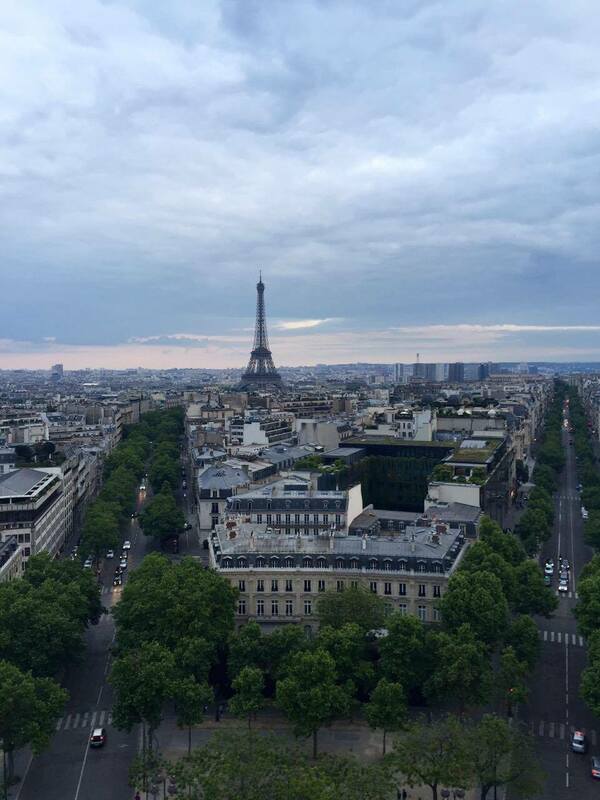 Shorter than the top of the Tour Eiffel, its vantage point allows for a closer shot of the city while ensuring 360 degree views. For some reason, observing Paris from this vantage point reminded me of the saying 'every road leads to Rome"
Sacré-Cœur can make for a relaxing afternoon of sightseeing and shopping. 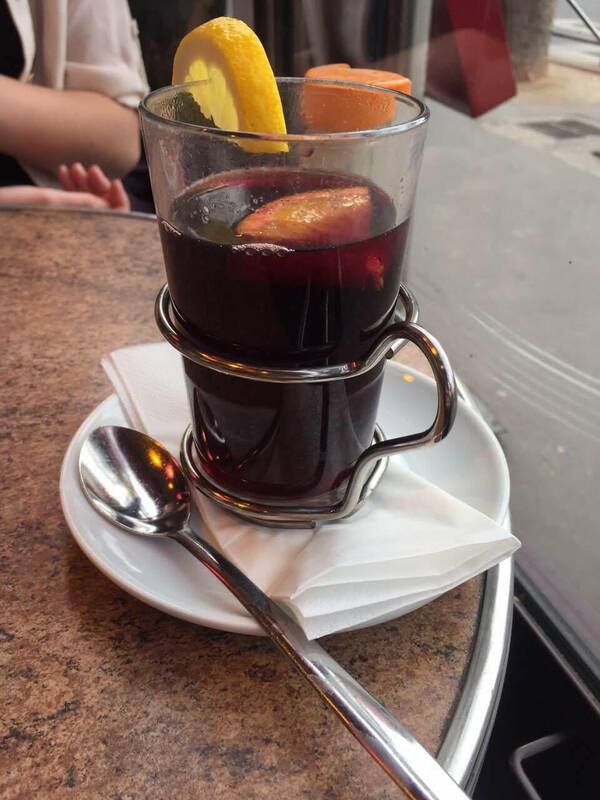 The basilica's exquisite exterior and surrounding views of Paris makes for a great vantage point, and the surrounding neighborhood of Montmarte is filled with interesting boutiques and cafes. The original Moulin Rouge is also in the neighborhood, if you're in the mood for something frisky. 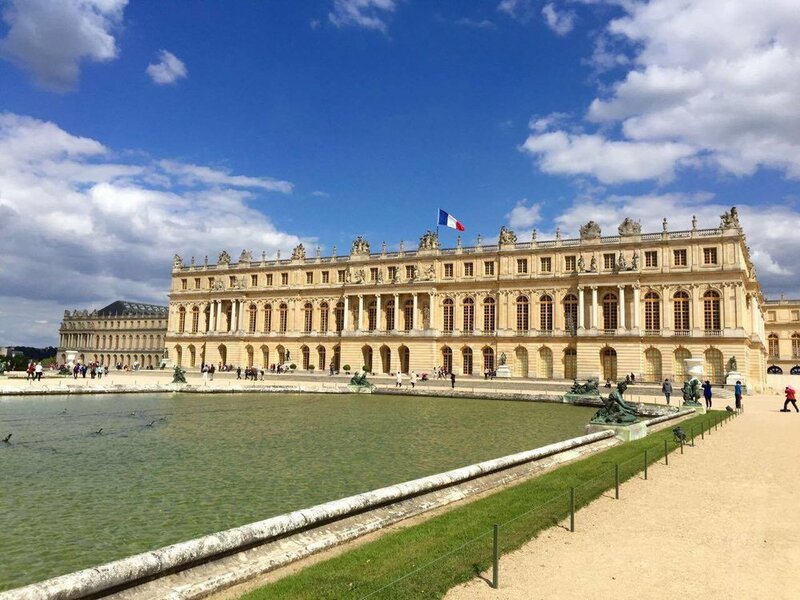 If you have some time to venture outside the city, the Palace of Versailles espouses the grandeur that ultimately caused the downfall of a monarchy. 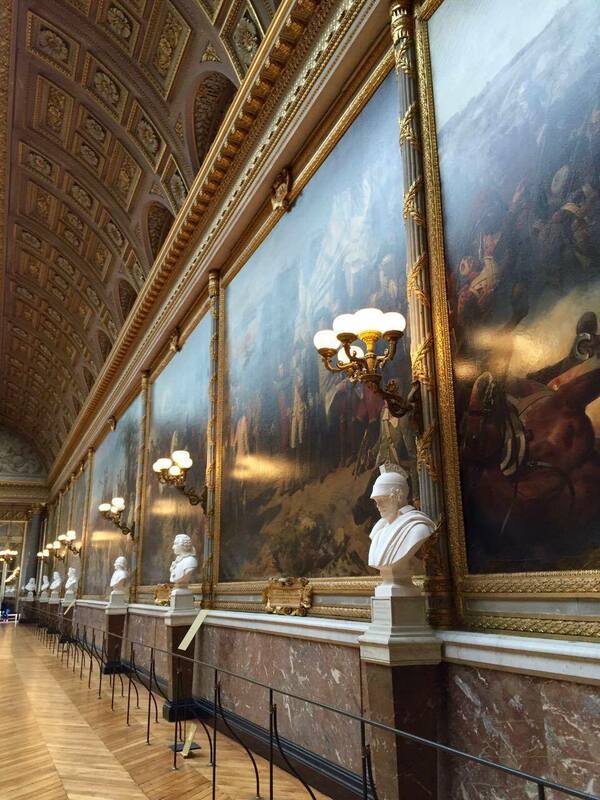 Below photographs comprise only a small fragment of a vast museum collection and extensive grounds. 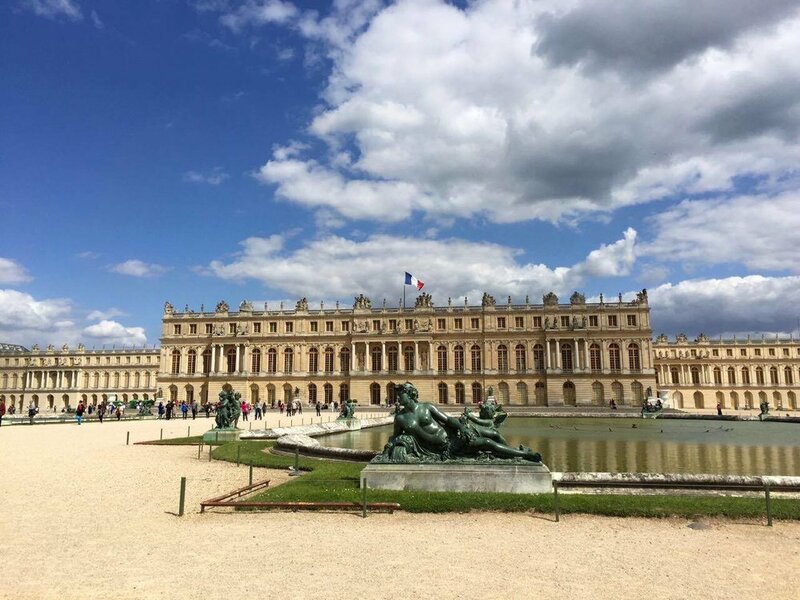 Whether its architecture, art, or interior design, the intricate details within the palace harmonizes with its grandeur, resulting in a splendid display of culture and wealth. 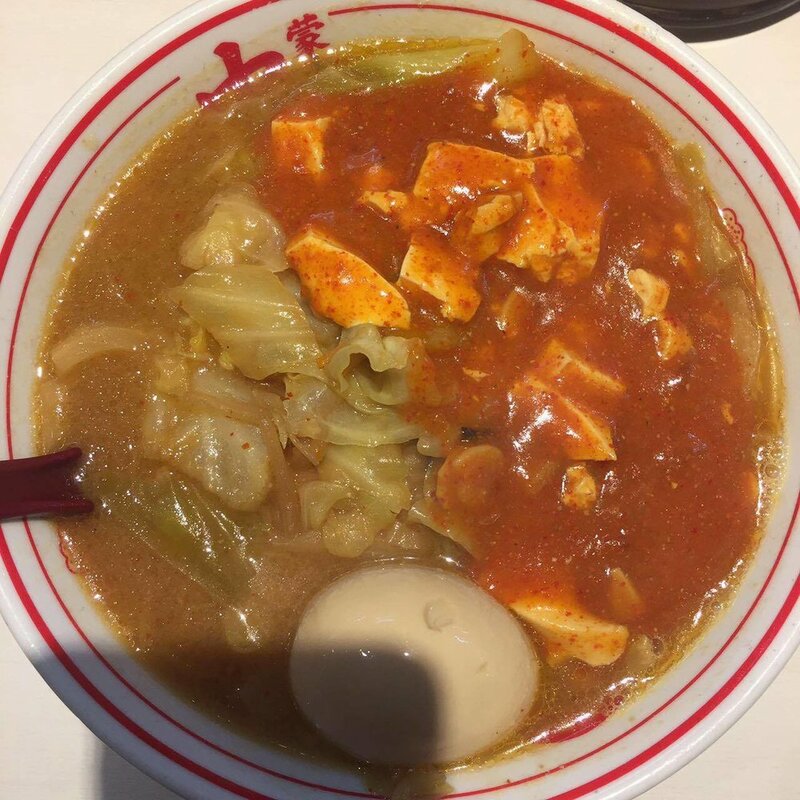 One of the great culinary capitals of the world, I snapped a picture of everything I ate on my very first visit to the city a few years ago. 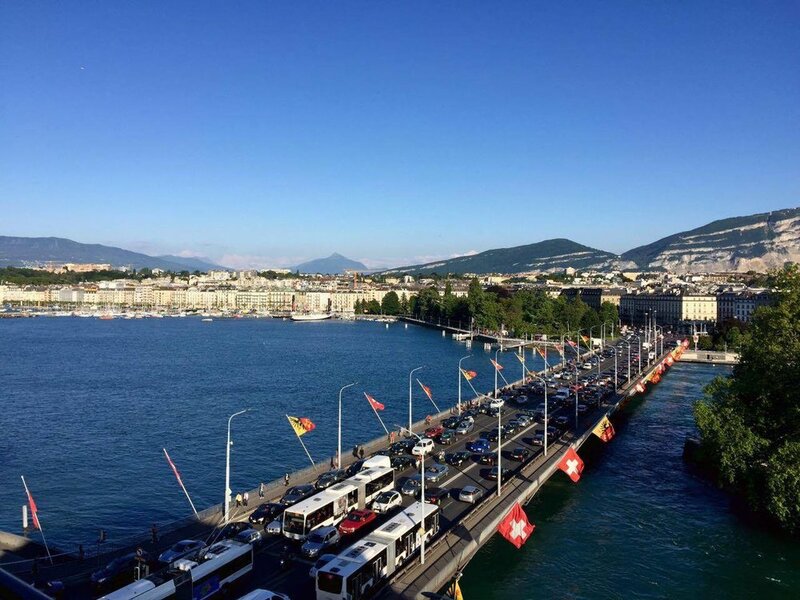 Geneva is as beautiful of a city as it is tranquil. Known for its watchmaking worldwide, there are various museums own and operated by various brands throughout the city, in addition to the famous shores of Lake Geneva. 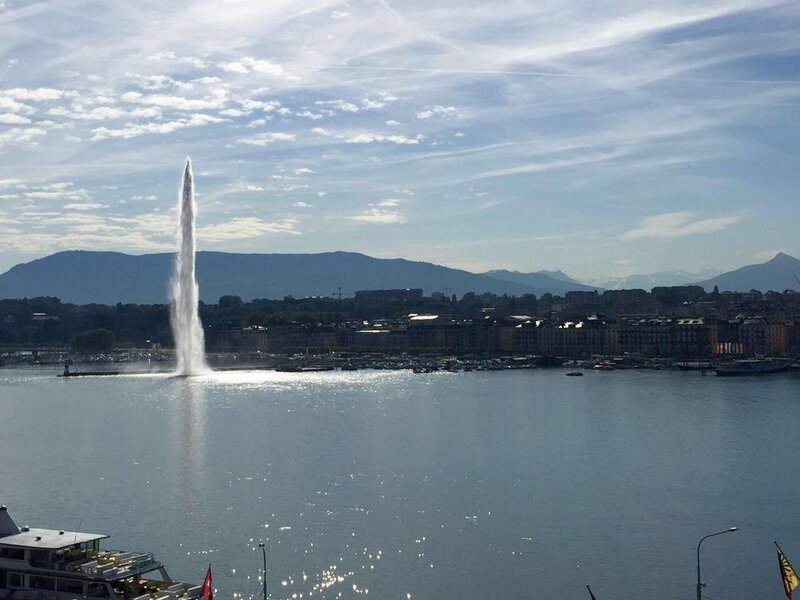 The Jet d'Eau (left) is large vertical water fountain at the point of intersection between Lake Geneva and the Rhône, and at its tallest can reach a height of 140 meters (460ft). The Pont du Mont-Blanc (Mont Blanc Bridge) traverses the lake and connects two sides of the city. Its lined with alternating flags of Geneva and Switzerland, which are sometimes substituted for alternative flags during important events or festivals. A view from the other side of Geneva. This small island to the right of Pont de Mont-Blanc is known as Île Rousseau, named after the famed philosopher Jean-Jacques Rousseau. His works including the Discourse on Inequality and The Social Contract have been integral in the formation of modern political thought as we understand it today. (There's also ice-cream on the island). A panorama of the Geneva skyline. The nearby town of Montreux is just a short train-ride away from Geneva. Also situated on the shores of Lake Geneva, the serene town is a favorite among many visitors. With its rolling slopes and lush greenery, Montreux combines typical Swiss charm with great dining, shopping, and sightseeing options. 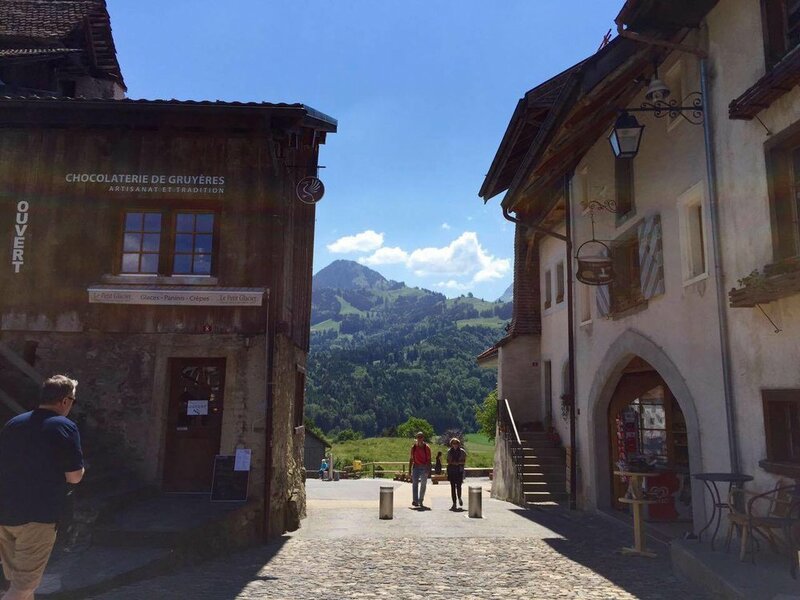 Gruyères is a picturesque medieval town located a train-ride away from Geneva. It is named, as you guessed, after the cheese that it produces. The ancient town is located on a small mountaintop, a slight climb to reach. The view, however, is definitely worth a hike. The town center is as quaint as its cobblestoned roads. 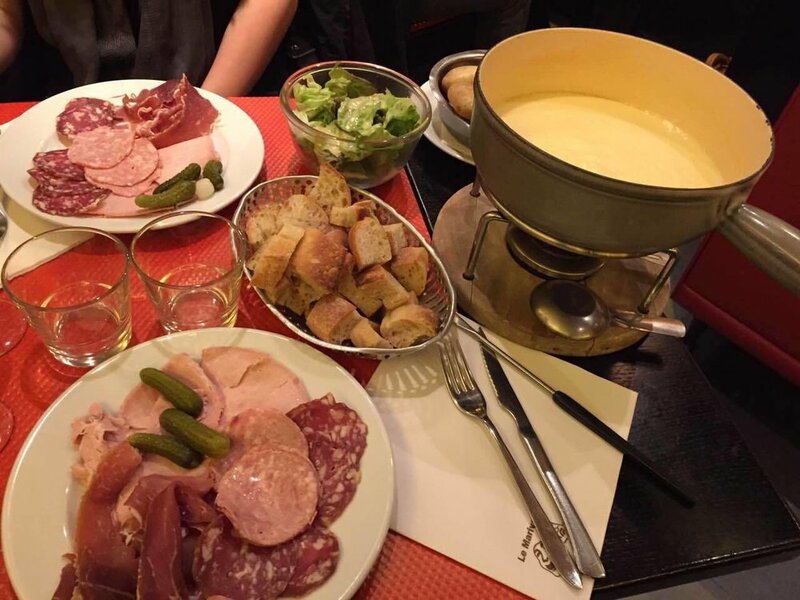 Stop by Le Chalet de Gruyeres for some fondue or raclette outdoors. Definitely try a local favorite, meringue and double cream, for dessert. ...perfectly balances the cream's dense, velvety goodness. Don't forget to bring some of the town's namesake cheese with you. 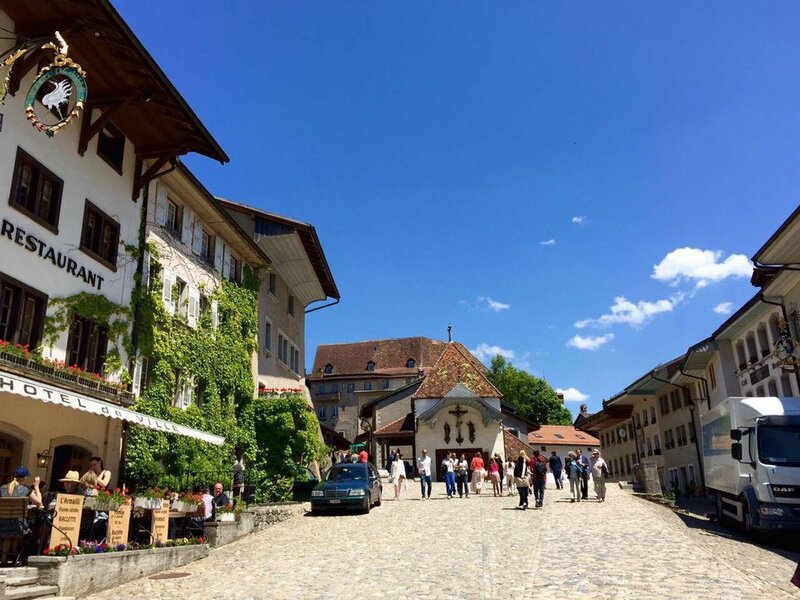 All in all, a charming Swiss town overlooking the Saane Valley. 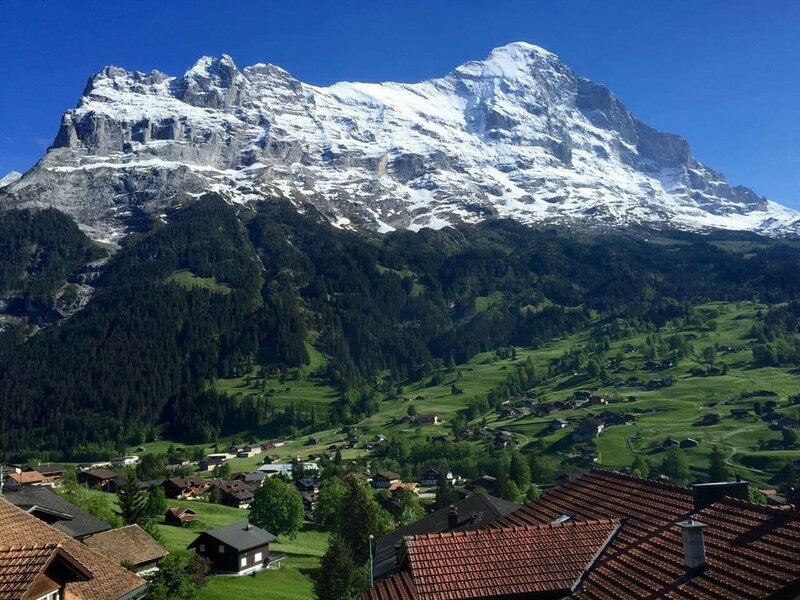 Jungfrau stands 4,158 meters (13,642 ft), one of the highest peaks in the Bernese Alps. To summit, tourists take trains that wind its way up the mountain. 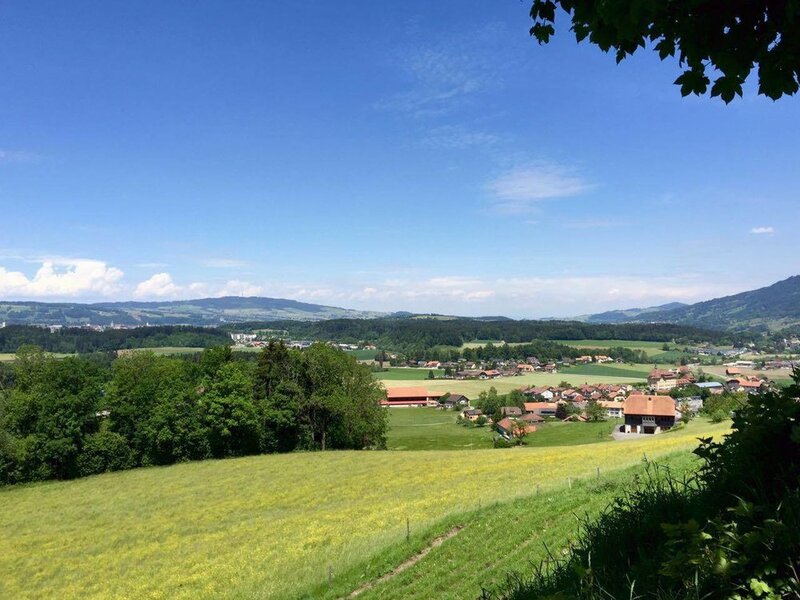 Charming villages set against the background of the majestic Swiss Alps make this hours long journey worthwhile. 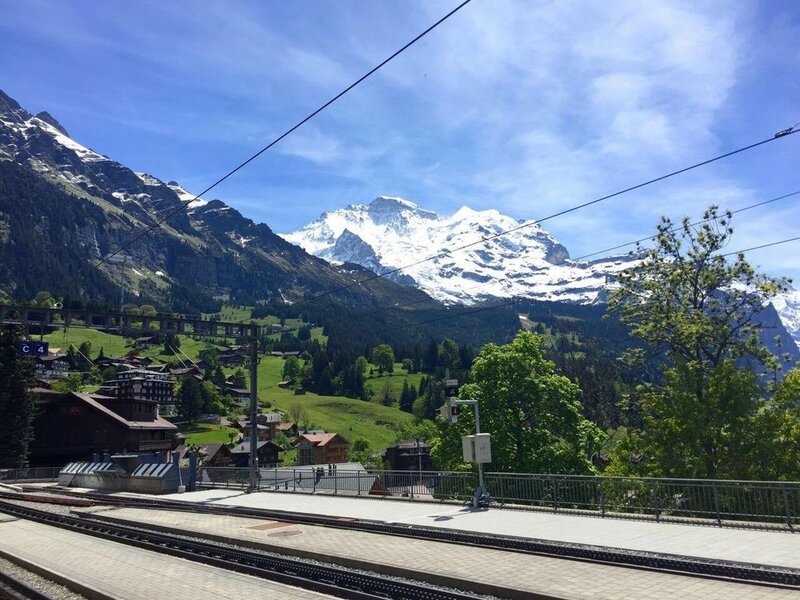 Departing from the village of Interlaken, the train will make several stops before reaching its final destination. 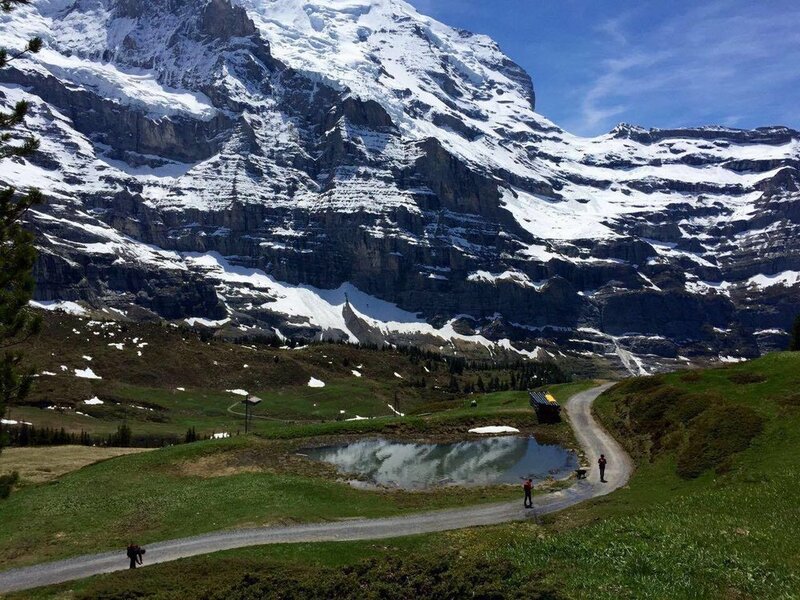 Top of Europe, is an attraction located at Jungfrau's peak. Observing the powder from here makes one wonder if it'll make for good skiing. 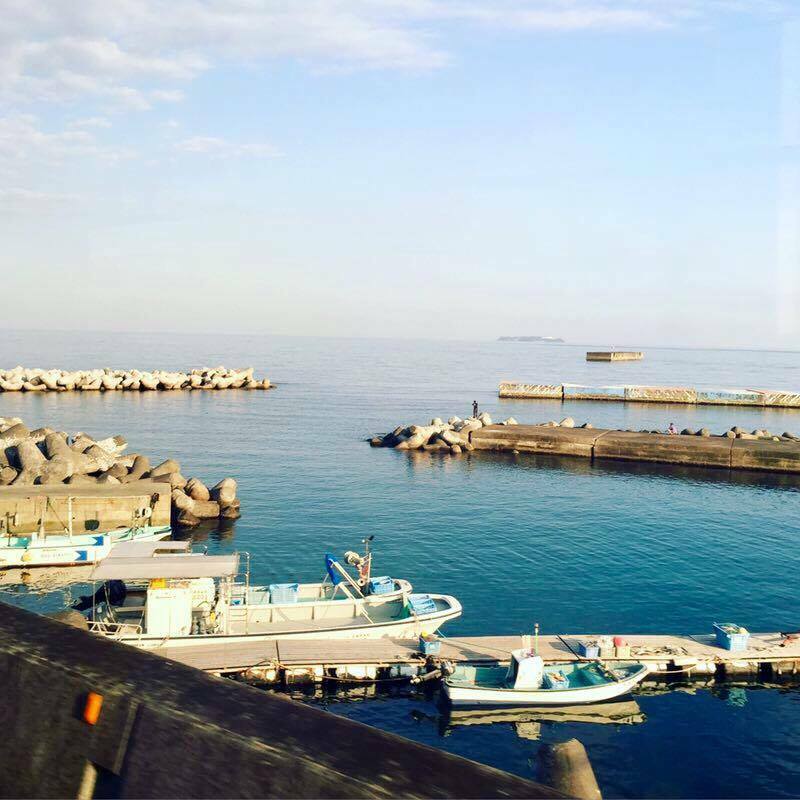 Though the journey itself is relaxing, the view at the top can literally be breathtaking. Due to its high altitude, those who are more sensitive may find themselves short of breath, dizzy, and experiencing a slight headache. 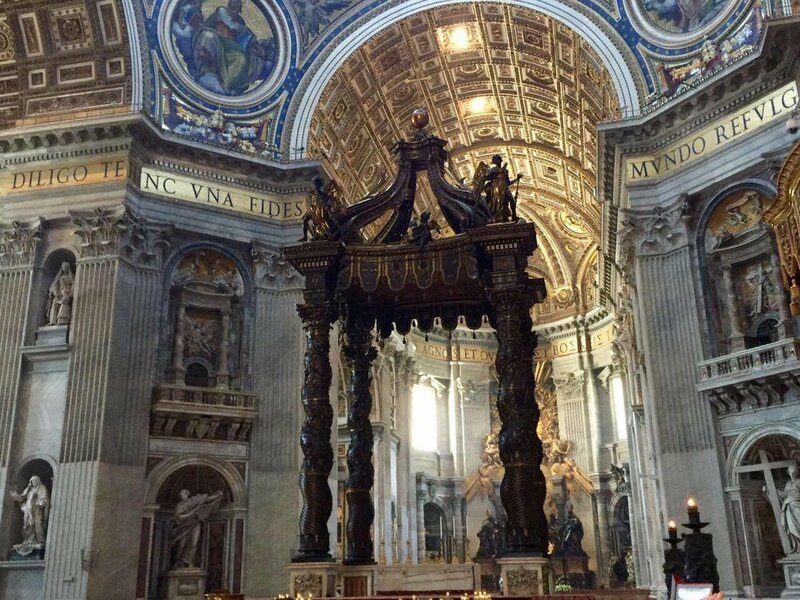 Any tour of Italy would be incomplete without substantial visits to church and museums, featured in the photographs below. Compared to Florence, I found Rome to be a larger, more tropical, and somewhat more modern city. 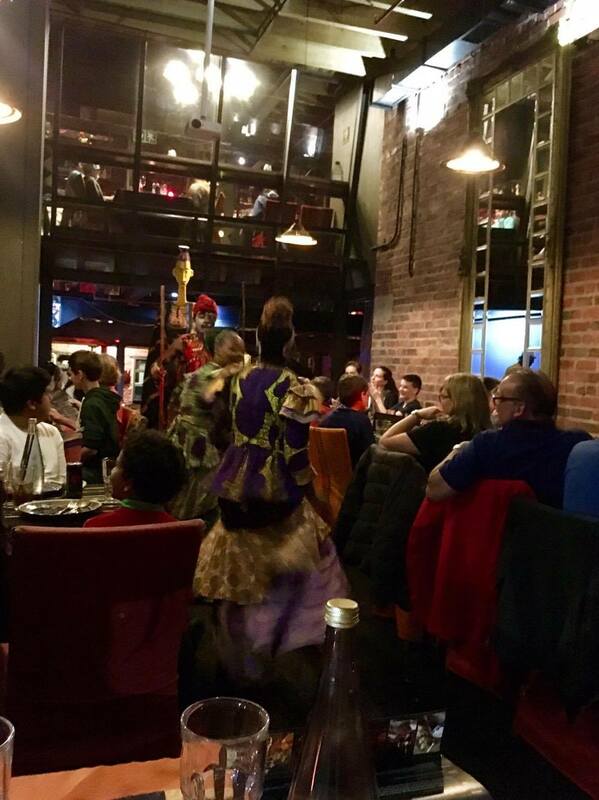 Both, however, are steeped in rich history, as well as sumptuous Italian cuisine. A view of Rome from atop the city's highest hill. A fine dining option: the Rome Cavalieri features the city's only three Michelin star estalishment: La Pergola. Of course, any visit to Rome would be somewhat incomplete without a visit to the Colosseum. Be aware that the lines can get extremely long here, and visitors can wait for hours to enter on a given busy summer day. The Altare della Patria is a monument to Italy's first king, Victor Emmanuel, who first unified the nation. Don't let the steps out front fool you, its a bit of a climb. 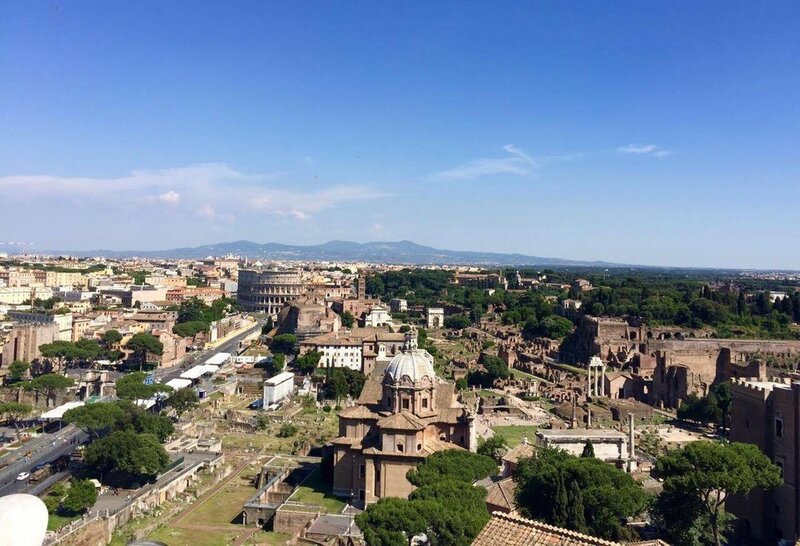 For a fee, visitors can take an elevator to the very top of the monument for views of the city and nearby Roman Forum (pictured here). The top of the monument offers a 360 degree view of the city. The Colosseum can get quite crowded, but its an impressive site to behold. Unbeknownst to many, there was a intricate network of tunnels underneath the arena of the amphitheater known as the hypogeum (first photo, bottom center & second photo, bottom left). This network was conducive to everything from providing a private entrance for the emperor, a inlet for performers, and cages for the beasts and gladiators before the fight. 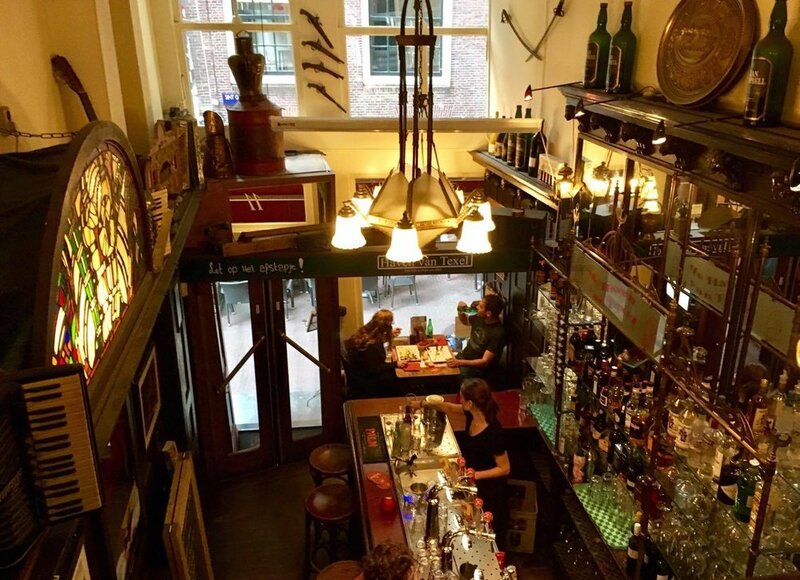 Food, art, history...and the red light district. 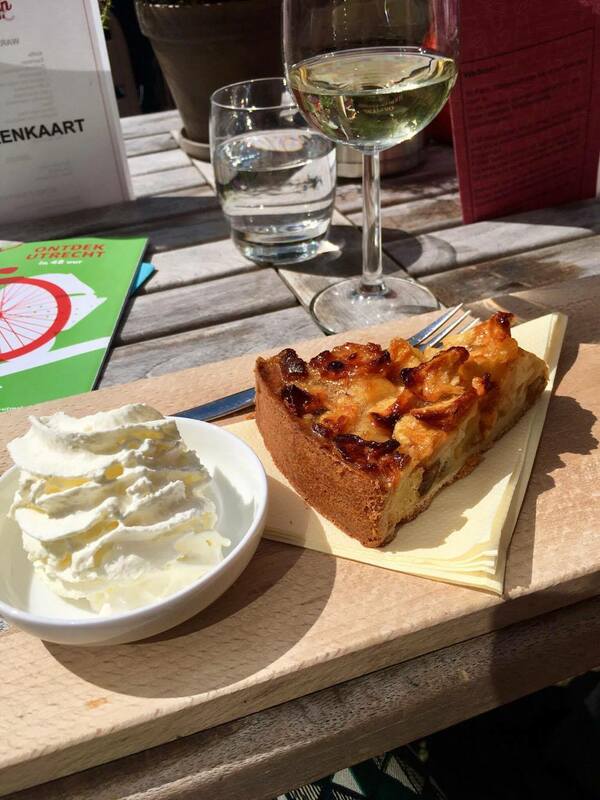 Amsterdam has it all. A city known for its art and culture, Amsterdam has many museums. 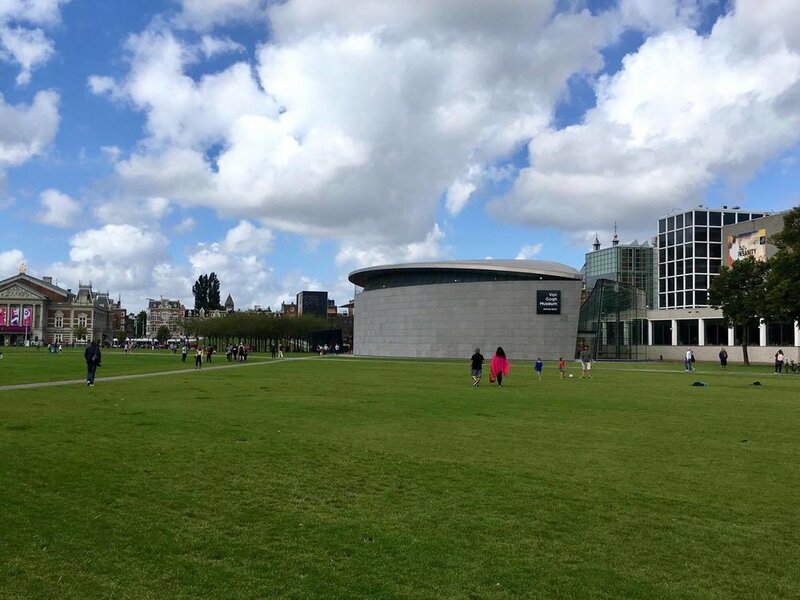 Of note is the Rijksmuseum and the Van Gogh Museum. 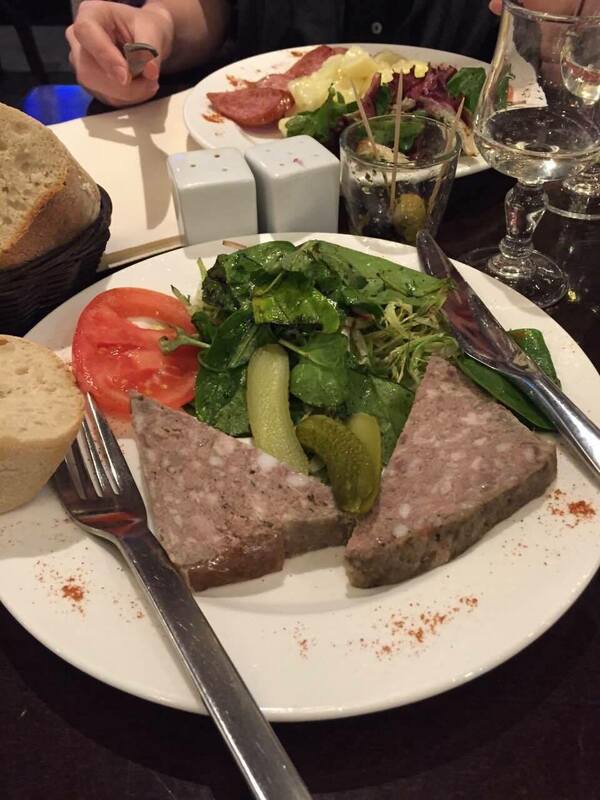 As with any European city, there is no shortage of good food. Heavy on the cheese and meat, some of my favorites included Bitterballen (fried mixture of minced meat, beef broth and spices), Dutch apple strudel, and any sandwich you can buy on the street or in a eatery. Of course, Stroopwafels (not pictured), are a must. 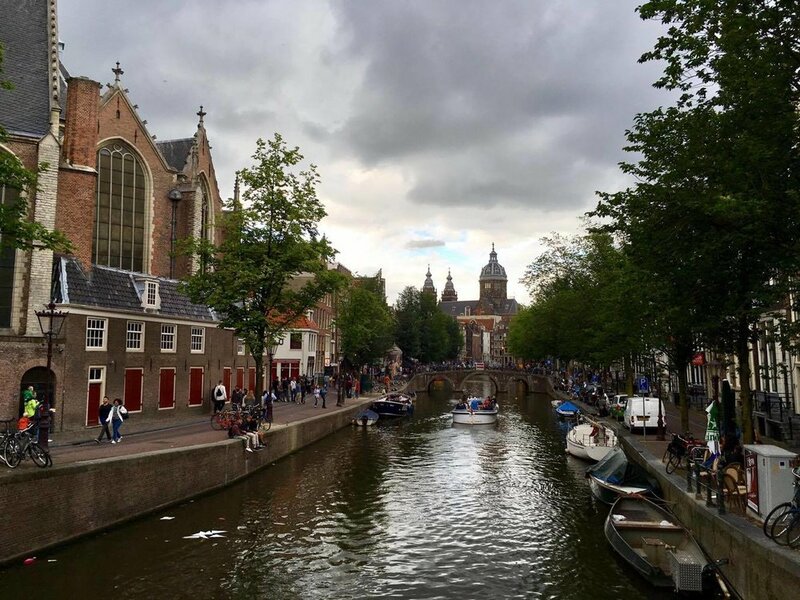 Utrecht is a good choice if you want to venture outside of Amsterdam. Its less crowded, and showcases a native side of the country. 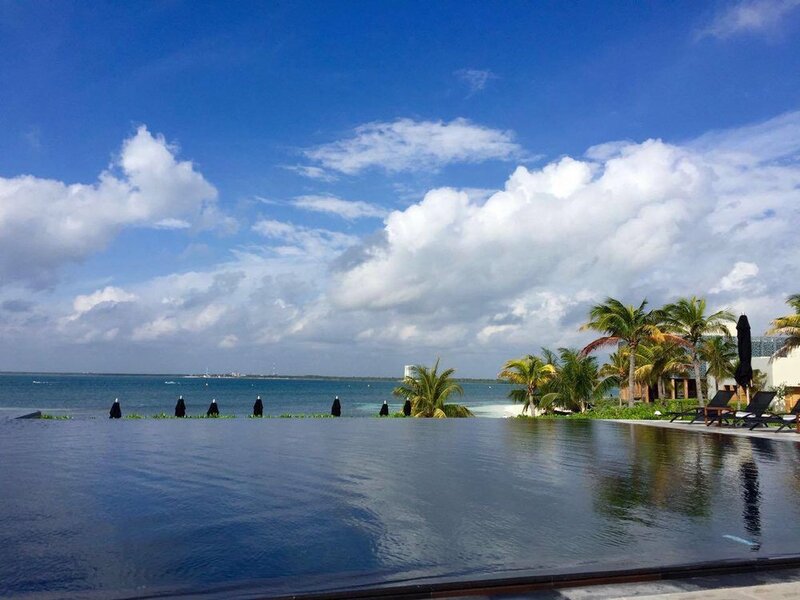 True to its name, the Maldives is a nation comprised entirely of islands. 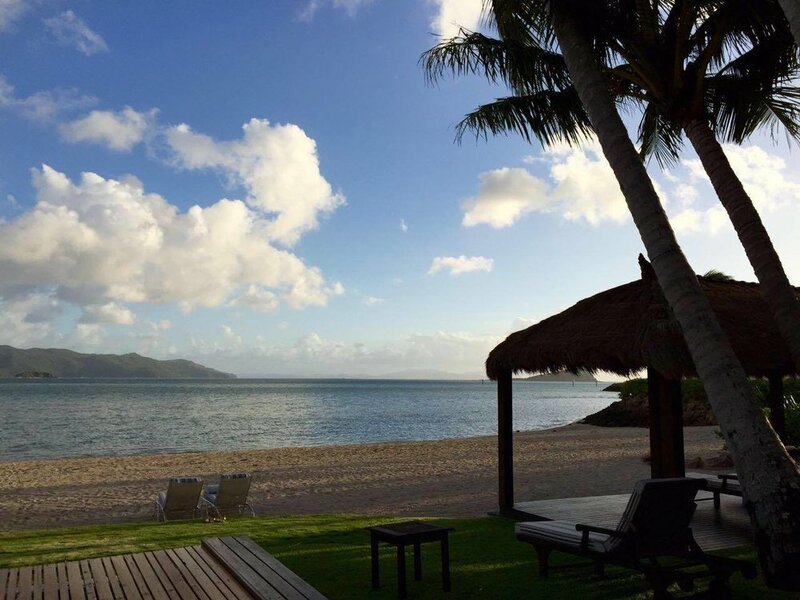 Beaches here are pristine, the water variegated shades of turquoise, and is a prime location for snorkeling and diving enthusiasts. 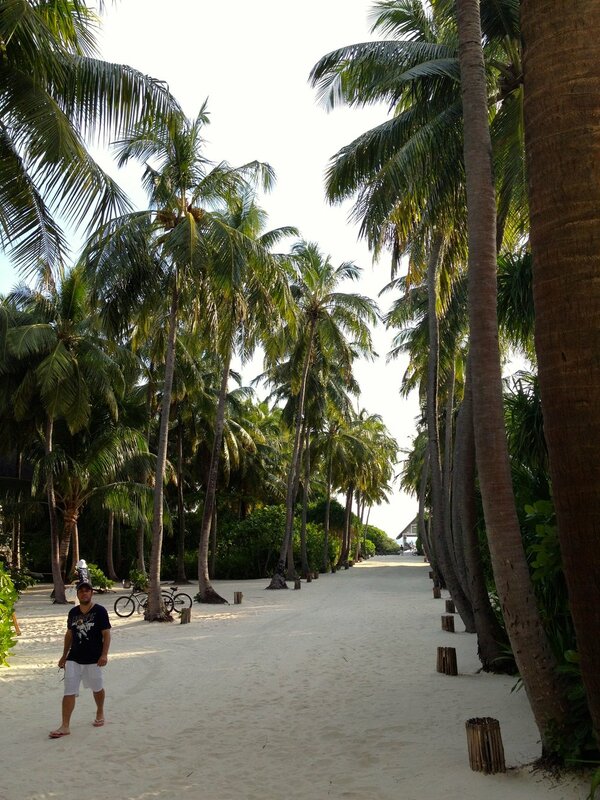 Typically, each island in the Maldives houses a different resort. Almost all resorts require boat or seaplane transport to access, making your stay in the Maldives a truly secluded experience. From canoeing to snorkeling to diving, the Maldives offers an endless array of beachfront and water activities. 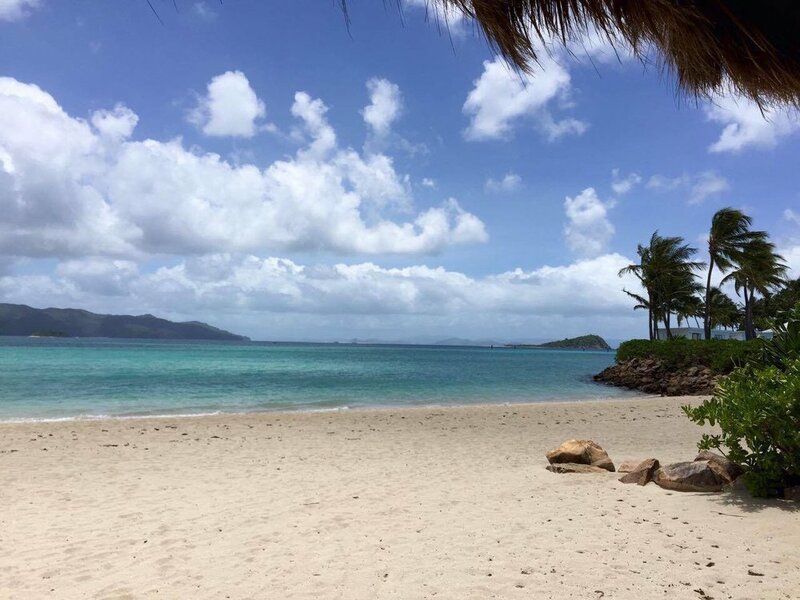 In short, these islands are a true utopia. Japan, then and now. Eight years ago I first visited the country. Photographs from a more recent trip shows just how much has changed. My trip to Chicago in the fall of 2015 was mostly motivated, truth be told, by a desire and curiosity for authentic deep dish. However, the friends who I went with planned such a comprehensive itinerary that I was able to experience a great deal more than just pizza. We woke up in the early AM to see Cloud Gate, the bean shaped mirrored sculpture in Millennium Park. An early arrival is probably best if you want to view the sculpture without too many people surrounding it, as the latter two pictures show. In the day time, its rare to find the bean not surrounded by a plethora of tourists. One of my favorite stops was the Ledge at Willis Tower. As someone who fears heights, walking out onto the glass box was a challenge met with a certain degree of hesitance. But standing hundreds of meters above the city was a memorable, if not knee-buckling, experience. 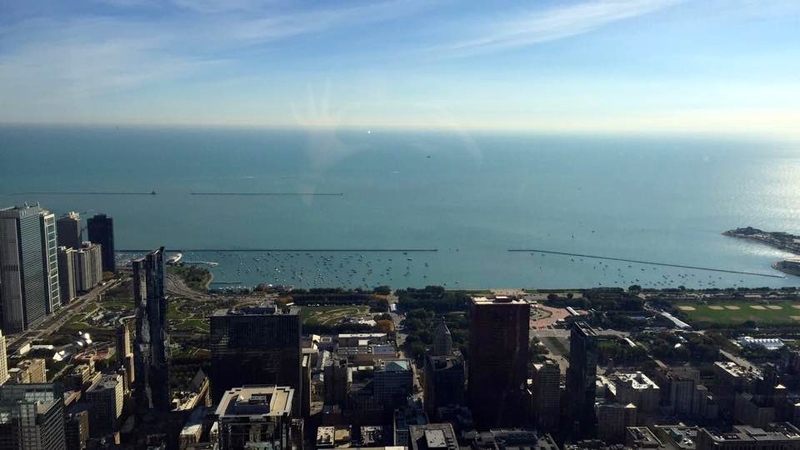 The 360 Chicago Observation Deck at the John Hancock Center offered panoramic views of the surrounding cityscape. The way the city curves around the shores of Lake Michigan and blends into the massive body of water to become one is a sight to behold, especially from the heights of this particular skyscraper. If you enjoy the view, try to come by a half hour before sunset, so you can see the city during the day, at sundown, and during the evening. The John Hancock building also offers an attraction called Tilt, which is literally an amusement park like contraption that allows visitors to stand in a glass box while holding on to railings, and tilts the participants 45 degrees over the city of Chicago. If you have a few hours to spare, the area around the Shedd Aquarium offers some spectacular views of the shores of Lake Michigan and surrounding skyscrapers. Ahh. Deep dish. 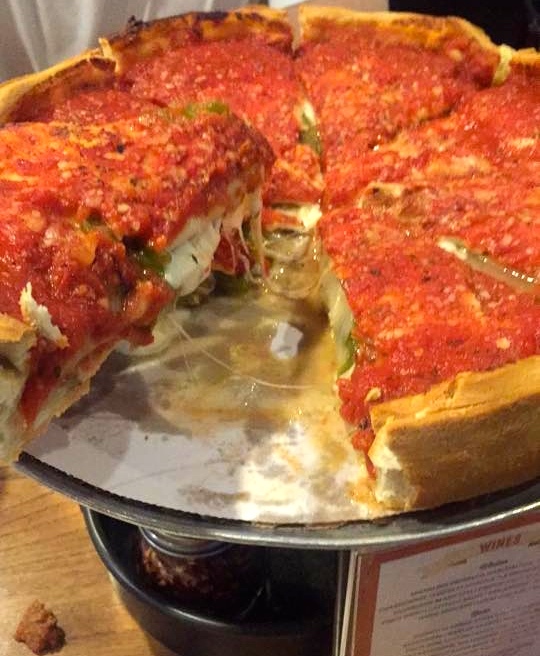 We waited in line for about an hour at the famed Giordano's, and it was well worth it. I was surprised by the amount of the pizza that was cheese, not that I'd ever complain about an overabundance mozzarella, of course. A favorite if you have a sweet-tooth, Doughnut Vault touts some of the city's best doughnuts, and is worth waiting in line for. Brunch, always a must. The maple-bacon doughnut pictured was also delicious. Clearly, this trip was somewhat doughnut-heavy. Jeni's Splendid Ice Creams has two locations in Chicago. Go to either one and try the lavender flavor, and it will transport you straight to the fields of Provence, France. Delicious. I've been to Las Vegas twice, once when I was about 8 or 9, and again in the past year. This sin city has never been very sinful for me, but it has changed quite a bit in last decade or so. Some things, however, comfortingly remained the same. Landmarks such as the Venetian, Bellagio, M&M Grand, Circus Circus, Treasure Island, and the Luxor still stand tall, though they are somewhat overshadowed by the colossal new additions to the strip. The Bellagio remained as stately as ever, aging ever so gracefully. Its large musical fountain at the front of the hotel still puts on quite an impressive show, even a decade later. One of my clearest memories from my childhood visit here was how real the sky in the Venetian looked. Specifically going back to be astonished once more, I realized everything looked larger and more real, it seems, when one was young. The Wynn was an addition to the strip not here a decade ago. Its outdoor bar Parasol Down features a waterfall and courtyard. A good place to stop for a drink, if you're touring the strip. The interior of the Wynn can be rather resplendent, often modeled after the splendor of European interiors. I also hear that the buffet here is something of a a gastronomical marvel, and is definitely worth a trip in of itself. Las Vegas is definitely a city that transforms by night and day. I find the lights of each hotel make for a more beautiful city by night, but that's just a personal opinion. 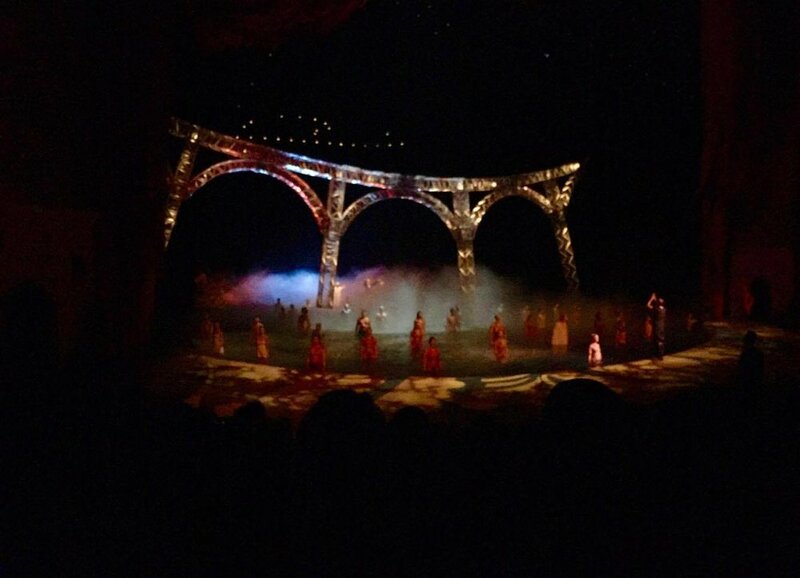 I opted for a show one night, and happened upon the famed "O" by Cirque Du Soleil at the Bellagio. A spectacular spectacle. On my more recent trip to the strip with friends, I had a chance to experience the nightlife. One was, ironically, a pool party during the day at The Cosmopolitan's Marquee, which operates both as a dayclub and nightclub. Tao, located in The Venetian, was probably the largest club I've ever been to. Impressive. As the Grand Canyon is just a few hours drive from the city, its a popular destination for day-trips. 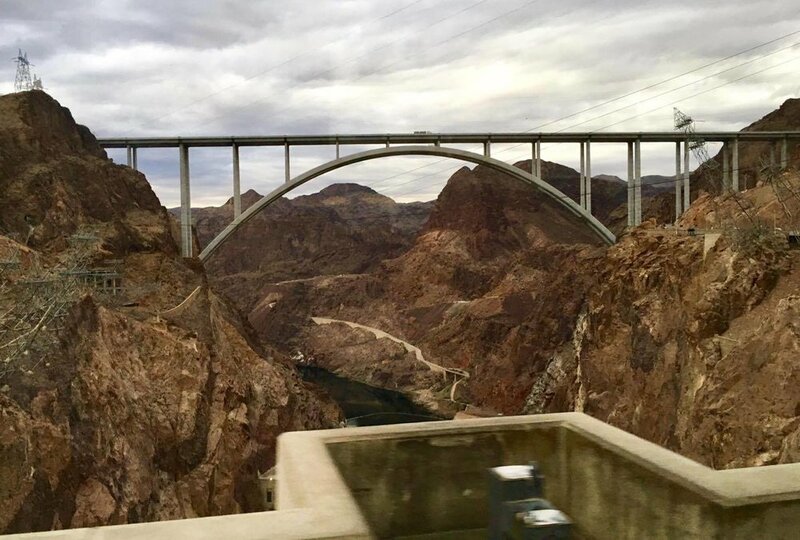 Usually, tours will also visit the Hoover Dam en route. Tourists can choose many different ways to view the canyon. A more comprehensive option is to take a helicopter flight down to the river in the canyon, take a boat tour to view the canyon from below, and take the helicopter back up. Nowadays, the Grand Canyon area also features a native Navaho village, as well as the glass skywalk that stretches out above the canyon. Unfortunately, the weather grey skies didn't help to bring forth the red tones from the canyon, though in real life, it is still a majestic sight as ever. All in all, if you find yourself in sin city with a day to spare, the Grand Canyon should surely be a top choice as a destination. 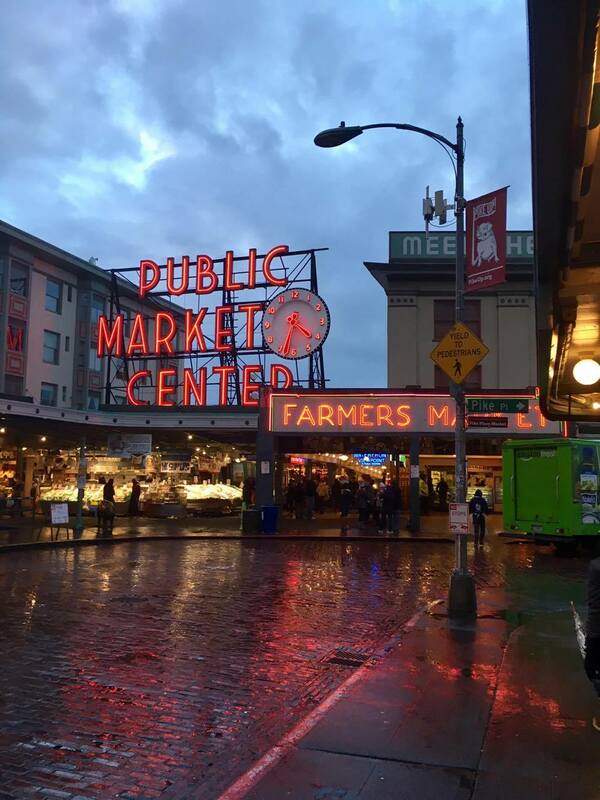 The Public Market, perhaps one of the best known landmarks in all of Seattle. Something I'd recommend as a must-try is the oyster shot, which is a freshly shucked oyster and cocktail sauce, conveniently packaged inside a 1.5 ounce shot glass. Slurp down as many as you can, and you even get to keep the shot glass. The Original Starbucks! Seems like they changed their logo over the years, though the interior of the store seemed to be no different then other outlets. They do, however, sell special mugs and cups here with the original logo and store significance, for the souvenir-oriented coffee drinkers. The nearby Pike Place Chowder serves up a variety of the creamy soup, and you can even order a sample combination that includes their four most popular concoctions. 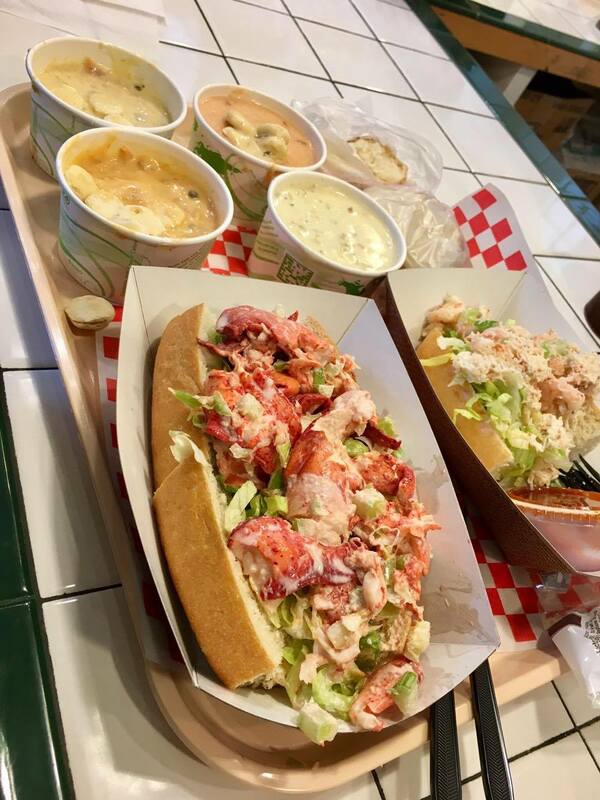 If you're a chowder-enthusiast, make sure to stop by, and try one of their fresh shrimp / lobsters rolls too while you're here. A curious discovery I made on this trip was the Chihuly Garden and Glass museum, that has probably be in the city the whole time, truth be told. After venturing inside, I must say I was amazed by the vibrant colors and obscure forms created by the artists. Who knew glass could be such a flexible artistic medium? The Museum of Flight is located just a short drive outside the city proper of Seattle. Inside, they feature a multitude of airplanes from a variety of eras, in addition to space exploration aircraft in a separate hanger. Of note are the two flight simulators that can be found inside the museum. One is not for the faint of heart (literally), and the other is family-friendly though somewhat adventurous. You can probably guess which one I went on. No matter how many countries and cities visited, no matter how many continents and oceans traversed, I say with a degree of certainty that no city will be as beautiful in my mind as Vancouver, Canada. Once my childhood home for a few years, I still visit relatively often. As such, I'll be updating this page from time to time with some of my favorite spots from the city, in addition to the New York page that's also continuously updated. Grouse Mountain is one of the three mountains in the city that offers skiing during the winter time. Regardless of season, however, visitors can ride the Skyride gondola to the summit and take in the city in its entirety. 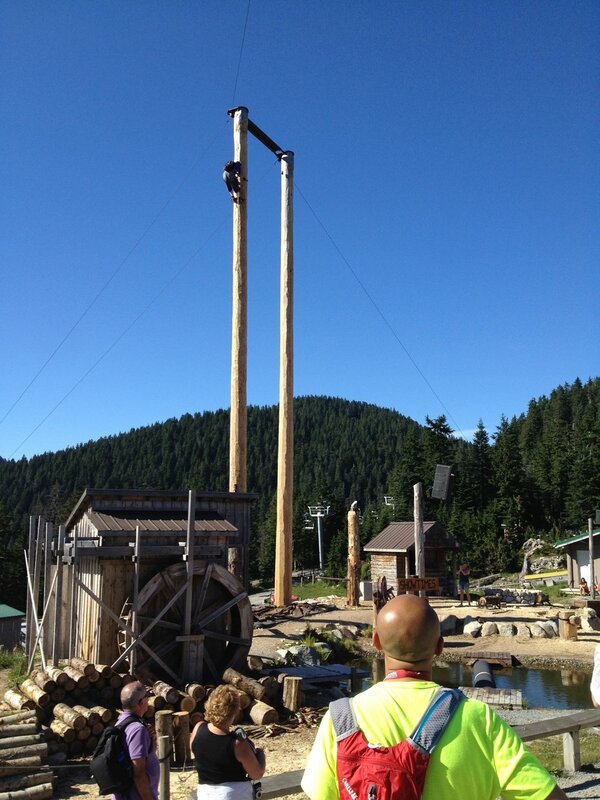 Activities on the mountaintop include a grizzly bear enclosure, and a lumberjack show, in true Canadian fashion. Whale watching is offered year-round in Vancouver, and typically departs from the city of Richmond in Vancouver. Due to the relative abundance of killer whales in the area, its quite likely that one will see a few whales on the roughy 3 hour journey. 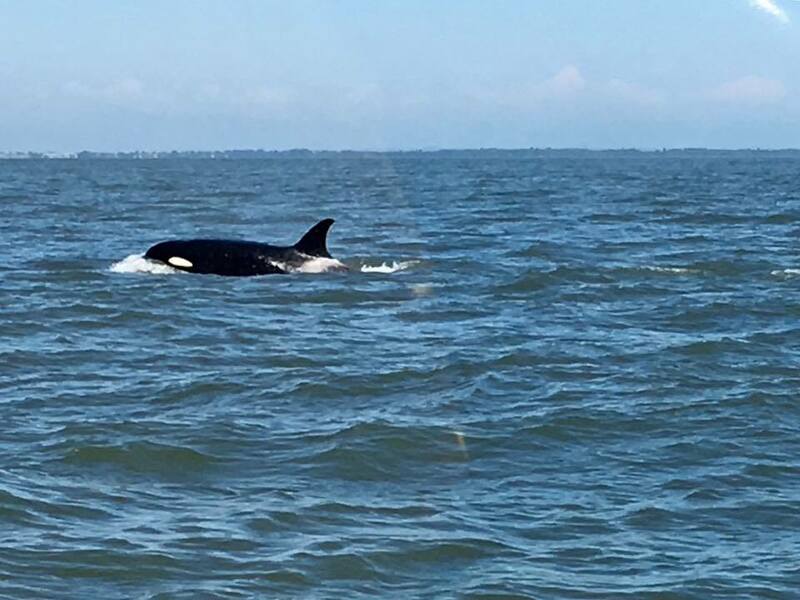 Don't worry if you didn't spot any killer whales, however, as most tour operators in the city will offer you another complimentary trip, just in case. My trip in mid-june was a resounding success, and we were able to follow a family of killer whales for several hours. Incidentally, Fisherman's Wharf also happens to be in the city of Richmond, and offers up some great seafood options for lunch or dinner. A longtime favorite of mine has been Sockeye City, which gets my stamp of approval because I've been going there since I was 7. To this day, their calamari and seafood chowder hasn't changed in taste. Talk about nostalgia. In the area, the Stevenson Pizza Company serves up some of the most lavishly outrageous pizzas I've ever seen. The pie pictured below is known as the Dragon, which features Alaskan king crab legs, tiger prawns and Chilean smoked salmon. A relatively recent addition to the city is an attraction known as Fly Over Canada, located in downtown Vancouver. Essentially a 4-D simulator that takes one on a journey across the country, at times the 'flight' can seem alarmingly real. The attraction also offers themed Christmas and Chinese New Year showings. Though I'm technically not a tourist here, I must admit I've been more than a few times just for the sake of it. Ambleside Park in West Vancouver is one of my favorite beaches/scenic stops in the city. Depending on the weather and time of day, every visit yields a different scene of the bay, with Stanley Park and the Lion's Gate Bridge to the left. One of the best things about Vancouver is the wide variety of proximate activities it offers residents, no matter the time of year. During the winter, skiing is just a half hour drive, up one of the mountains flanking the city. 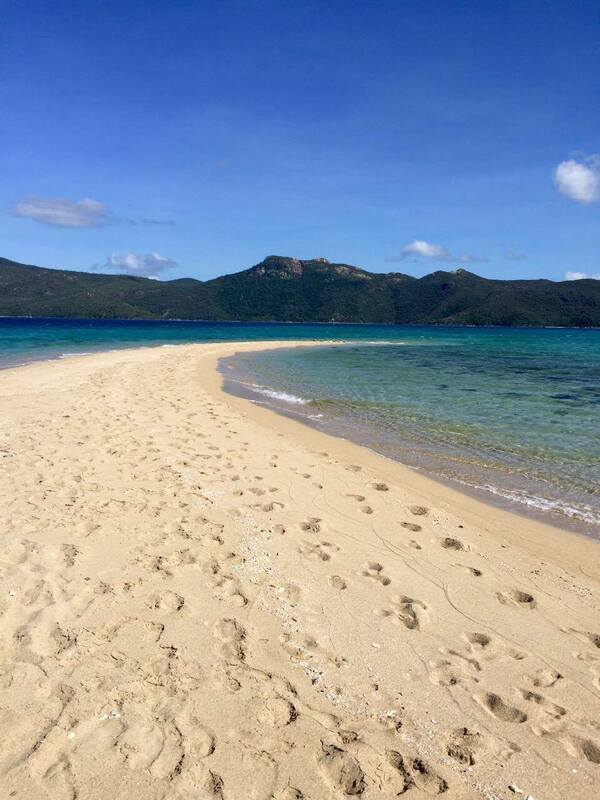 During the summer, there are no shortage of beaches. One popular tanning destination for Vancouverites is Kitslano Beach, which also offers panoramic views of the bay and the city. 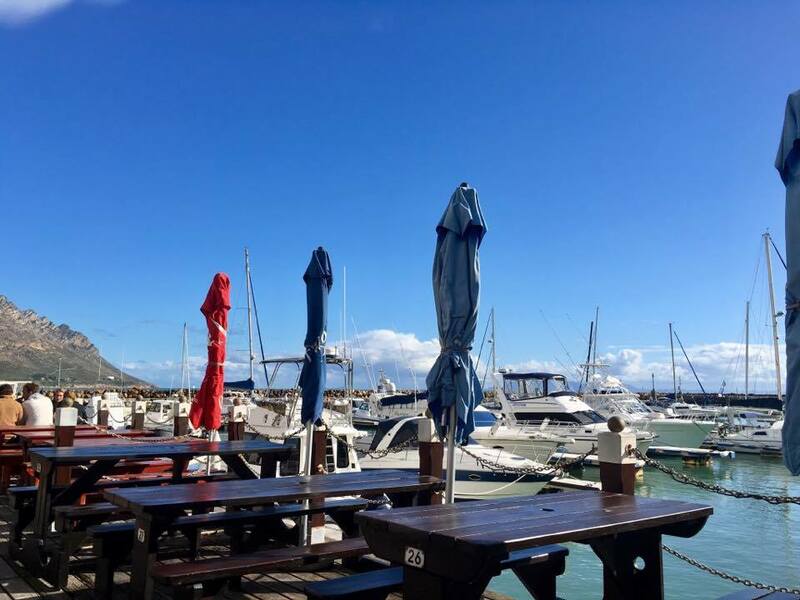 On a side note, a great option for food nearby is The Boathouse, which also offers an outdoor patio area upstairs for a great view of the beach, and daily happy hour. 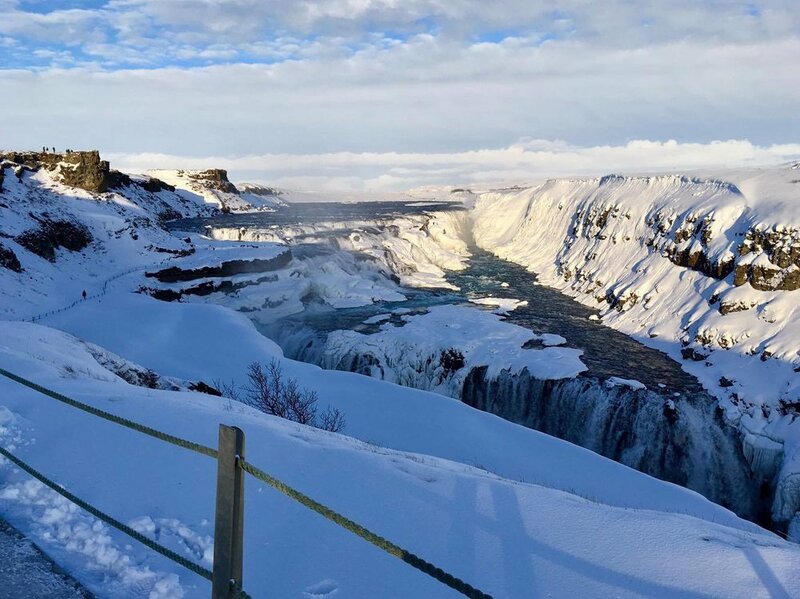 The climate and scenery remains deeply true to its name during the winter months, though the ice and snow creates striking scenery in startling shades of blue. Northern lights season is from September to mid-April, though when I went during March it was a rather rare occurrence. 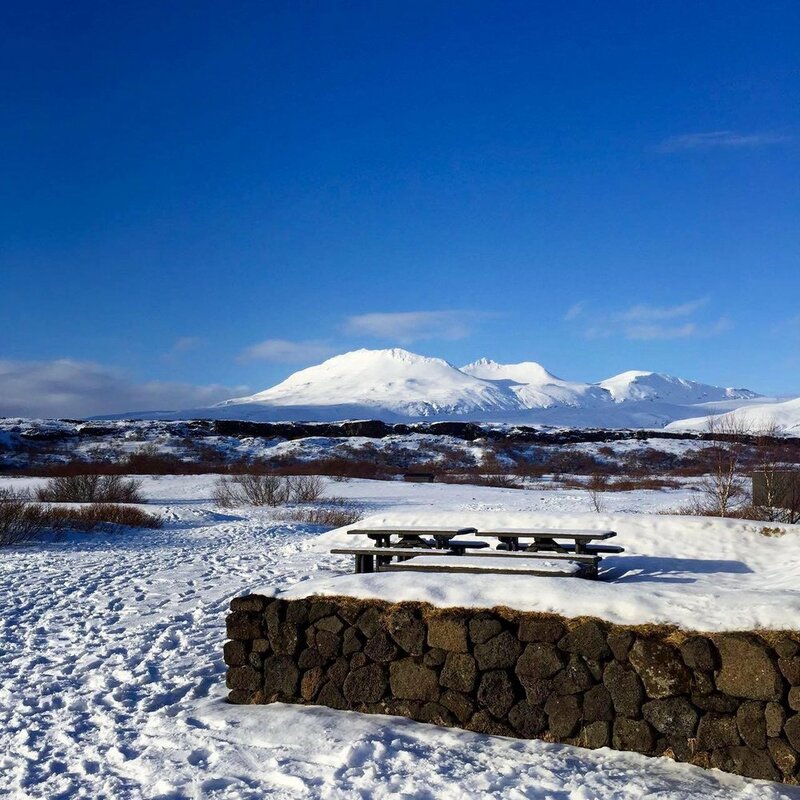 Iceland is simply one of those places where you can't snap enough pictures. 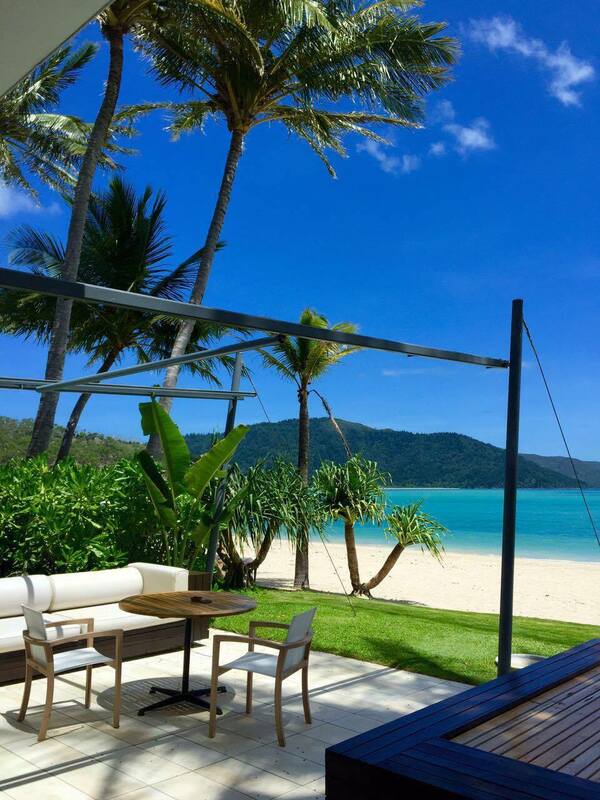 The calmness bespoke its remote location. 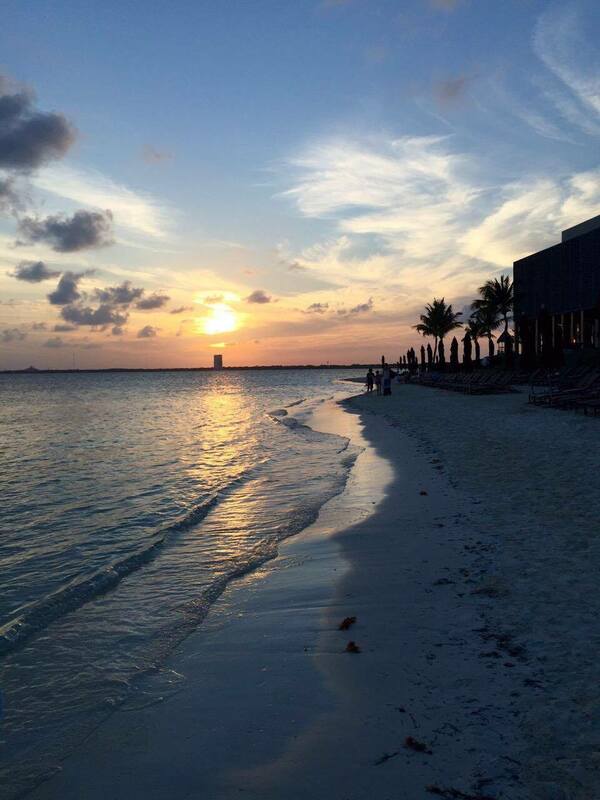 Compared to other tropical locales, Cancun is a relatively short flight from New York. A slight compromise between true tropical paradise and convenience, but still a fine destination for families (and, of course, college students). Best known for Machu Picchu, the cities of Lima and Cusco also have a lot to offer in terms of cuisine, culture, and sightseeing. 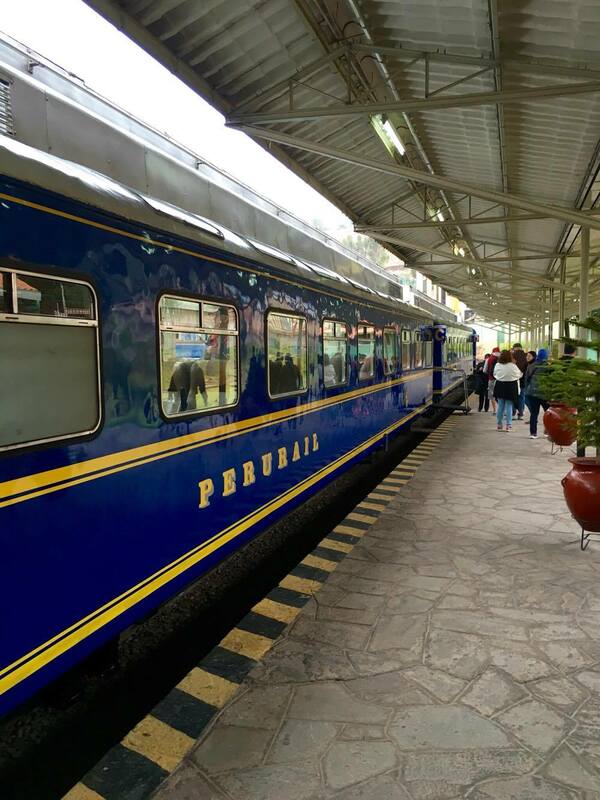 There are two ways to arrive at Machu Picchu, either by rail, or by hike over several days on a path known as the Inca Trail. Tight on time, I opted for the former. Arriving on a cloudy day, this ancient heritage site seemed to be shrouded in mystery. Thousands of years of it. Typically, international visitors flying in will arrive at Lima, the capital of Peru. Surprisingly, this South American city has a vibrant food scene. All tours to Machu Picchu departs from the Peruvian city of Cusco. Once the capital of the Inca Empire, this city is steeped in history. Incidentally, this is also a great place to try some local favorites. One of these dishes involved guinea pig. Salar De Uyuni, the Uyuni salt flats in Bolivia, are popularly known for their mirror effect during the rain season. However, it is impressive during the summers as well. 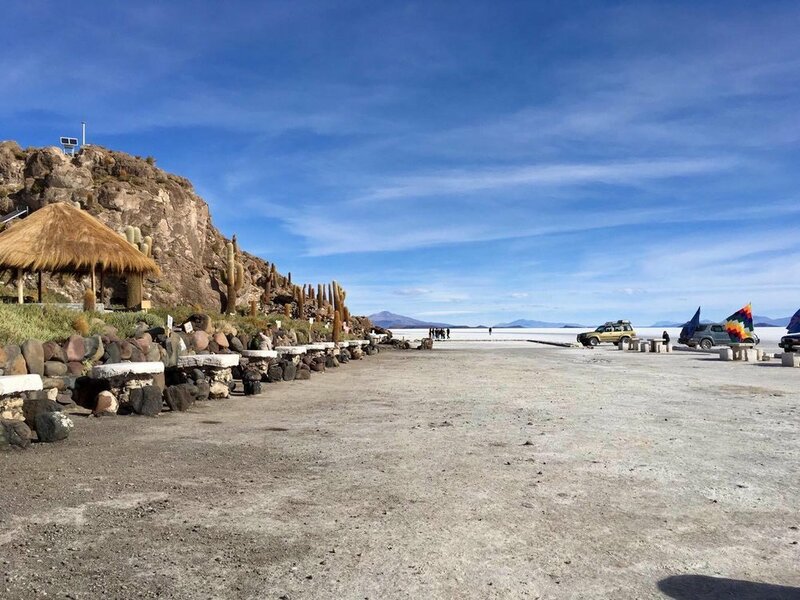 We begin our journey in the town of Uyuni, a seemingly empty town that's actually teeming with tourists from around the world. The endless flats are extremely conducive to panoramic photos. 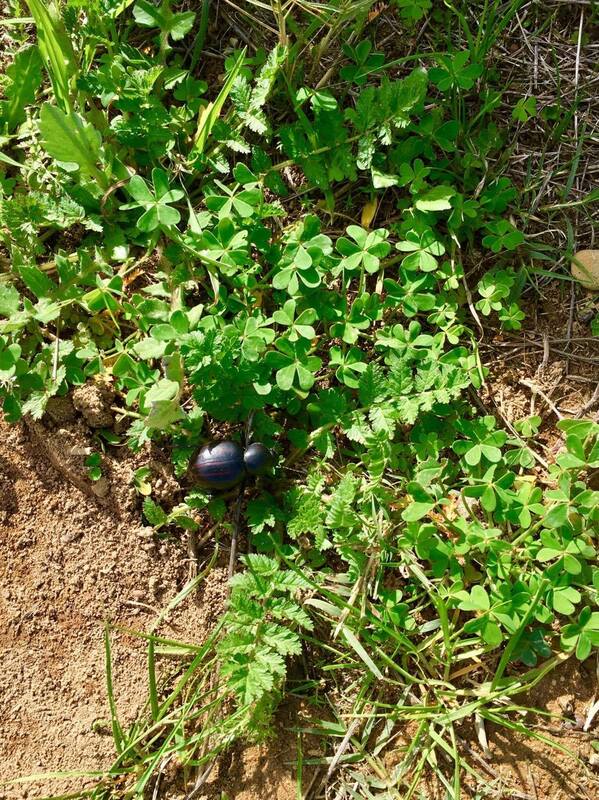 Tours will take you to different areas of the flats that feature different vegetation. The resulting photographs can seem out of this world, indeed. Due to the shortage of time, I opted for a day tour of the salt flats. If you have more time, I'd recommend a two day or longer stay here, to get a chance to see the Chilean side of the flats, a much longer drive from Uyuni. 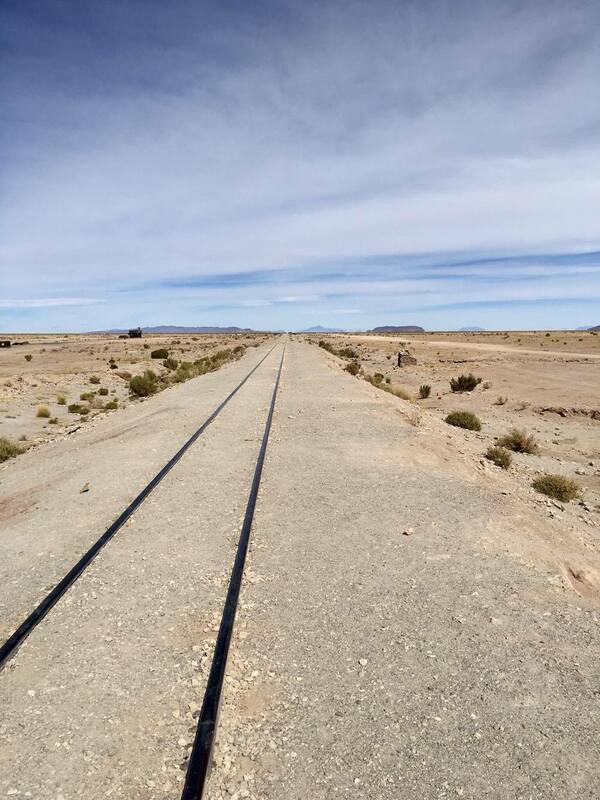 Our first stop was an old abandoned railway site, where tracks that were laid to transport the salt produced by the flats were left so suddenly that the trains are still there, rusting away, year after year. An eerie site, easily resembling any movie set of a post-apocalyptic movie. Deserted, but in stark contrast with the white and blue of most of the flats. We arrive in the midst of the salt flats after a short drive. 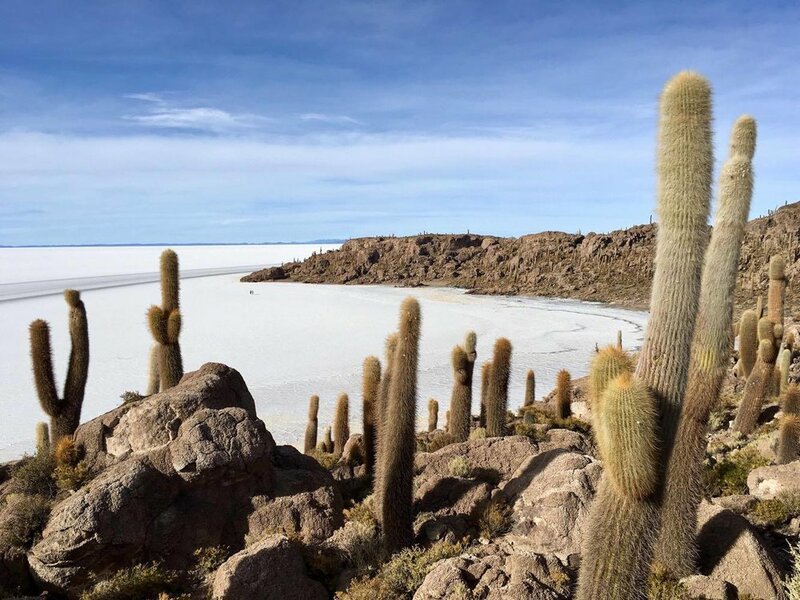 Though the vast white plains make be mistaken for snow from afar, this is in fact the world's largest salt flat, spanning 10,582 square kilometers (4,086 miles). Even panoramic photos don't do the vastness and endless salt plains justice. Here, the sky and the flat seem to coincide at the edge of the world, and there is nothing here, except salt. A final stop in the day-long tour was an 'island' in the middle of the salt flats. Shrouded in cactuses, the island rose out of the flats in a strange, extraterrestrial fashion to greet visitors from afar. 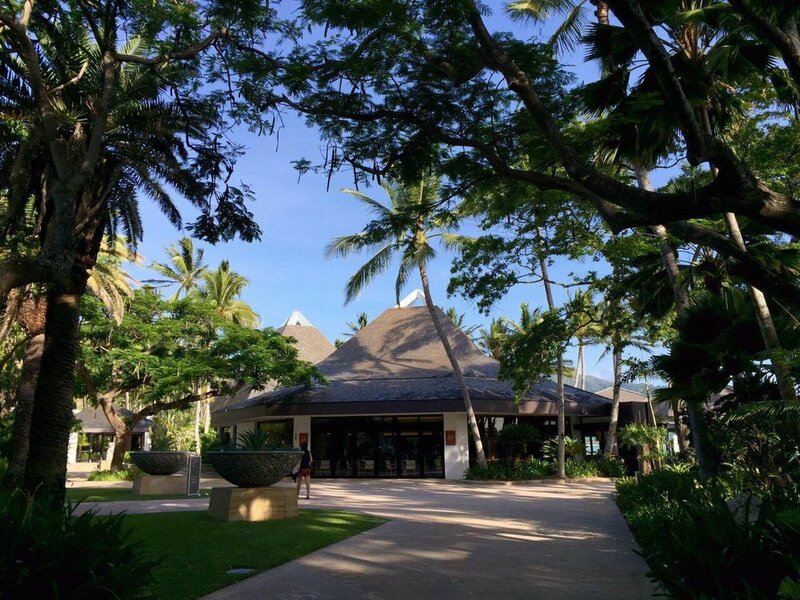 The addition of the marble colored sand and green vegetation made for a scenic vantange point. 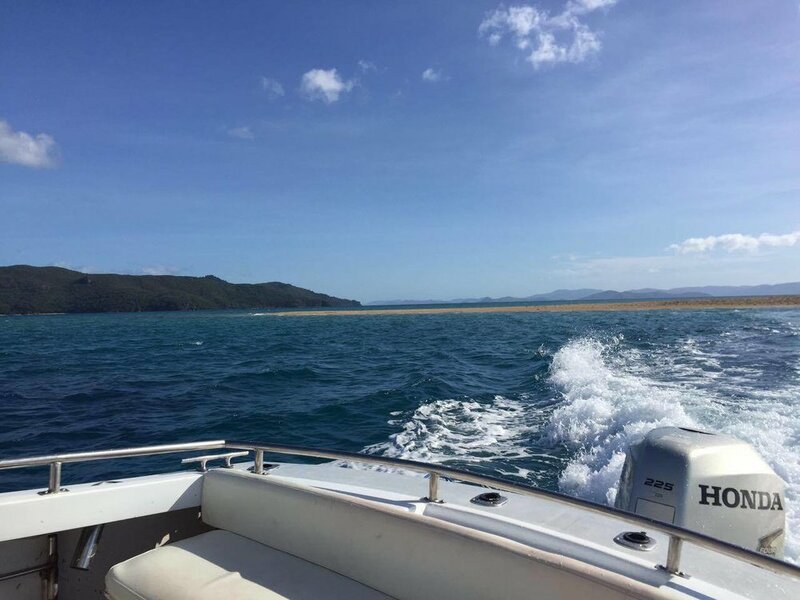 Definitely don't forget your sunscreen when visiting, as the white of the salt can reflect sunlight, making UV rays that much stronger during the day. 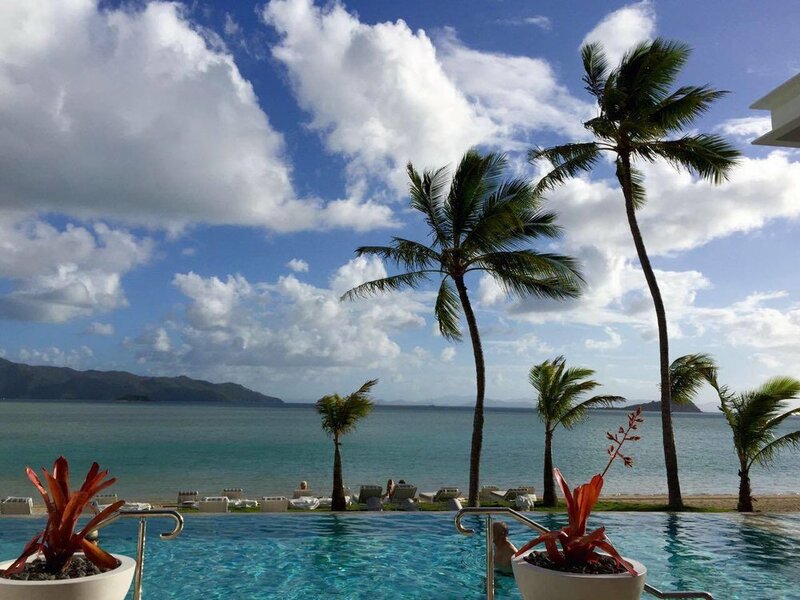 All in all, a truly fantastical, out-of-this-world destination. Truly breathtaking. Endless plains of salt converges with the infinite sky, as blue and white dominates this world beyond worlds. You won't want to leave but, all good things must come to an end. 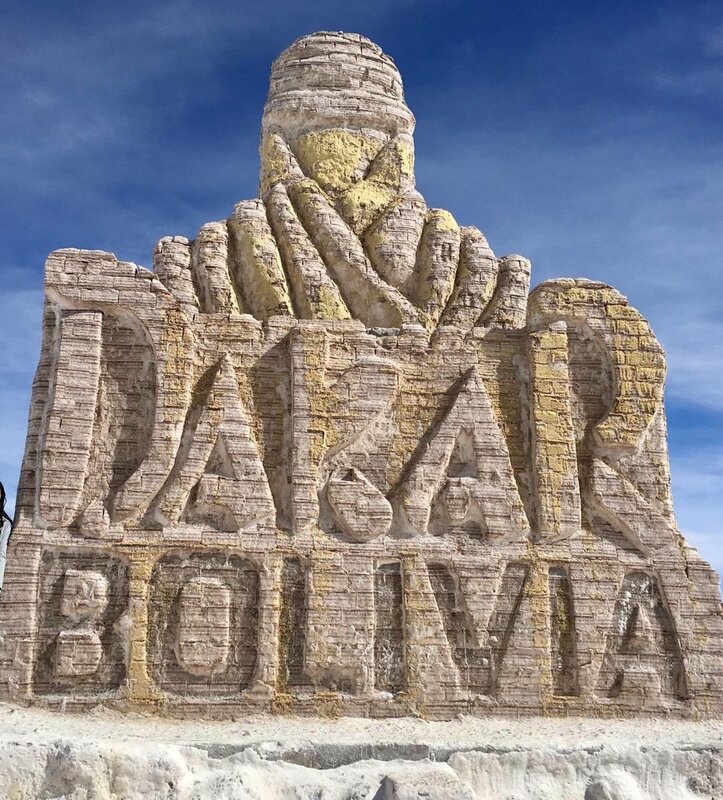 La Paz is the capital of Bolivia, and the highest administrative region in the world at 3,631 meters (11,913 ft). Due to its elevation and density, its government built a cable car system as a form of public transport, known as Mi Teleferico. The Canadian Rockies feature two national parks of Canada, Banff National Park, and Jasper National Park. Situated in Alberta, Canada, they both feature the majestic ranges of the Rocky Mountains. With the summits dusted in snow year-round, the Canadian Rockies has equal parts wildlife, pristine lakes, and magnificent panoramic views. The Banff Gondola, in the town of Banff, takes visitors atop the Sulfur Mountain for an unbroken view of the Rocky Mountain ranges. Offering unparalleled views outdoors, the mountaintop Gondola landing features restaurants, shops, and a wooden walkway / boardwalk. Astonishing hues of blue, green, white and ash dominate the scenery as far as the eye can see. On a clear day, the Canadian Rockies are a wonder to behold from this vantage point. 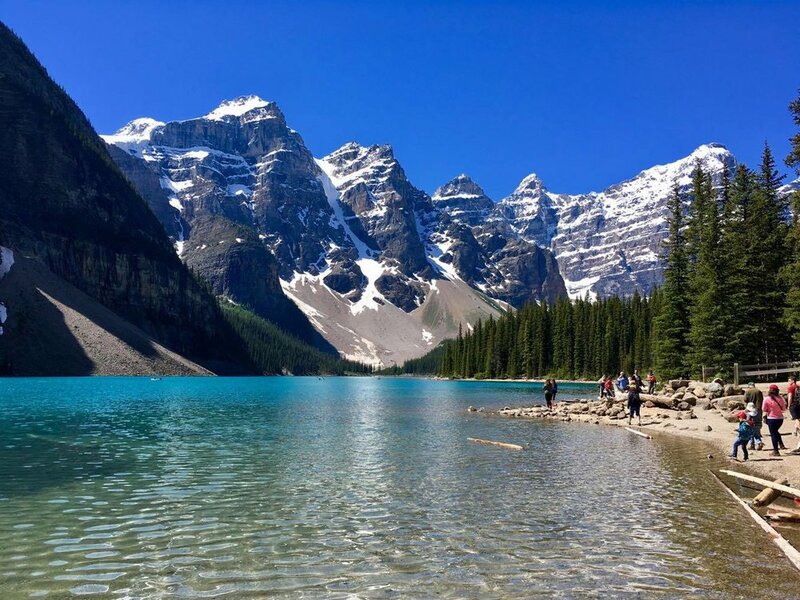 Lake Moraine is in Banff National Park, proximate to nearby famed Lake Louise. Its best known for its startling color, varying between shades of turquoise and jade, set against the imposing background of the snow-capped Rockies. Bow Falls in the town of Banff is one of the major waterfalls of in the park. Its proximate to the Banff Springs Hotel, a historic landmark which makes for a great place to stay during a visit. The Columbia Icefield is located in Jasper National Park. Visitors to the surface of the Athabasca Glacier in an all-terrain Ice Explorer vehicle. A must if you visit: bring a bottle to collect untouched glacial water. Though waiting times can get long during busy season (holidays & summer), and the Ice Explorer moves at a somewhat excruciatingly slow pace, the icefield itself is still a marvel. Unfortunately, with the continuance of global warming, the ice recedes gradually each year, so a time to visit may be sooner rather than later. 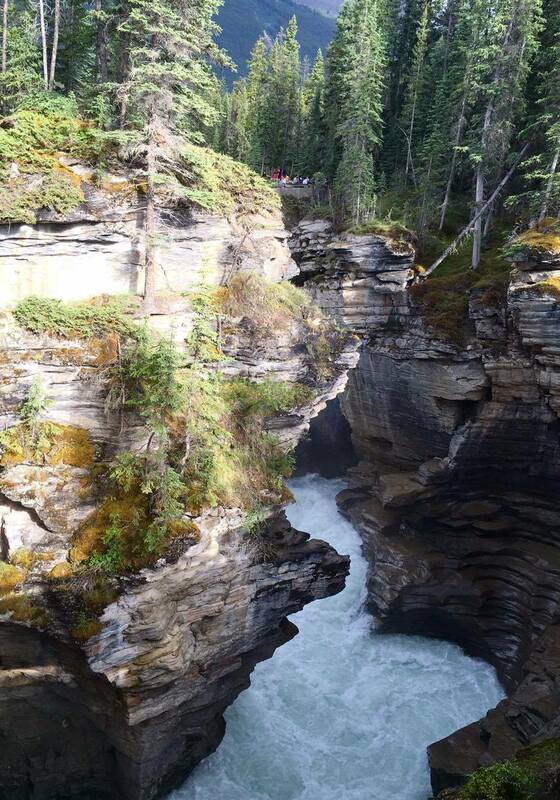 In short, the Canadian Rockies are must-see on any visit to western Canada. Opt to drive, or take the train to your destination. (The Rocky Mountaineer run trains year-round to and from Banff National Park, a great way to enjoy the scenery en-route). 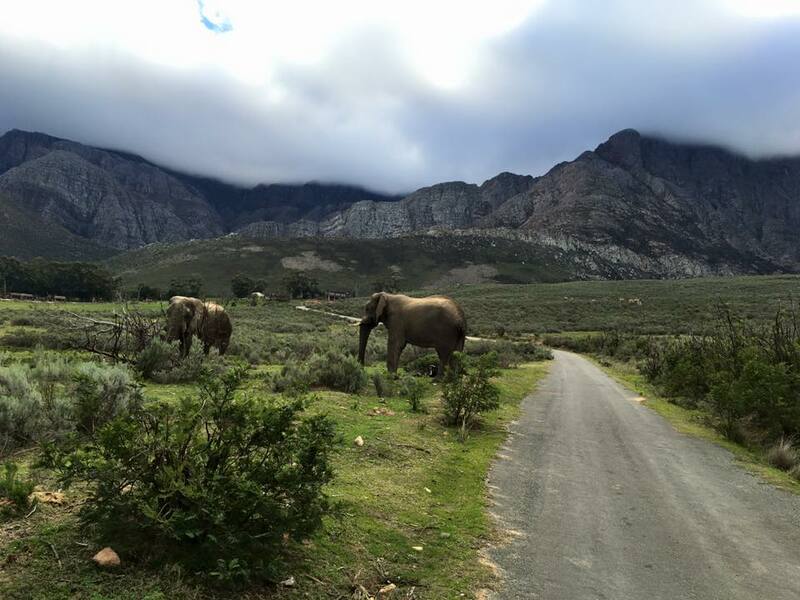 Cape Town has recently been voted one of the more beautiful cities in the world. With its scenic mountains, tranquil seaside, and vibrant culture, the city is definitely a destination for many avid travelers. Flying in to the Cape Town airport. Remember that summer in the Northern Hemisphere is 'winter' here, so bring clothes for chilly weather! Lion's Head, a harder climb than expected, complete with metal chains and ladders. Definitely a feat for those have a fear of heights (me). But worth the hour and half hike, especially to watch the sunset over Cape Town. 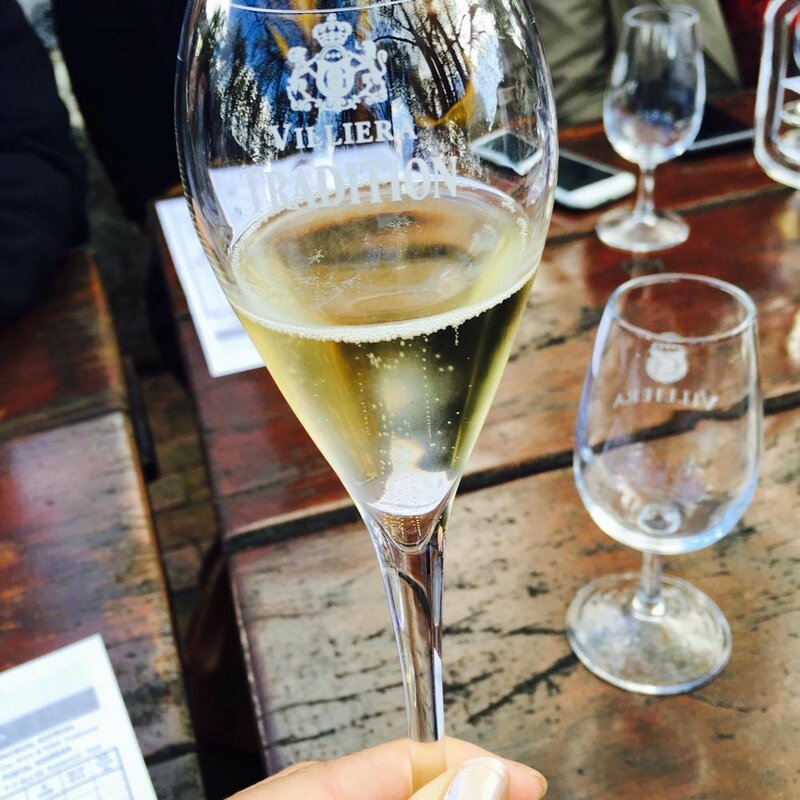 A great excursion outside of the city is to opt for a wine tour in the Stellenbosch region. 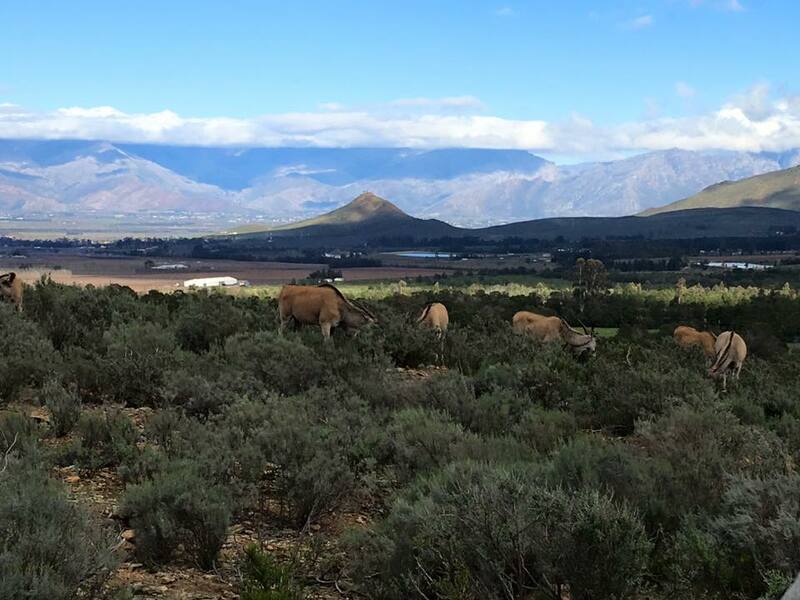 Relatively close to Cape Town, the region not only boasts excellent wine, but absolutely beautiful wineries. 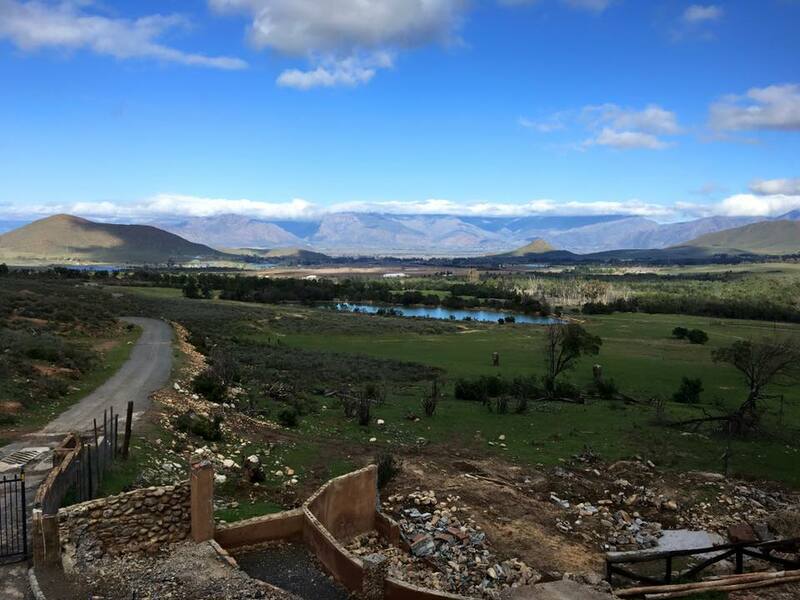 I chose a tour operator called Wine Flies, which took us to five different wineries in the span of a day, and offered pairings with cheese, chocolate, and Biltong (dried, cured game meat native to South Africa). Needless to say, it was an enjoyable day. Though I'm not very knowledgeable about wine, the day was quite informative. 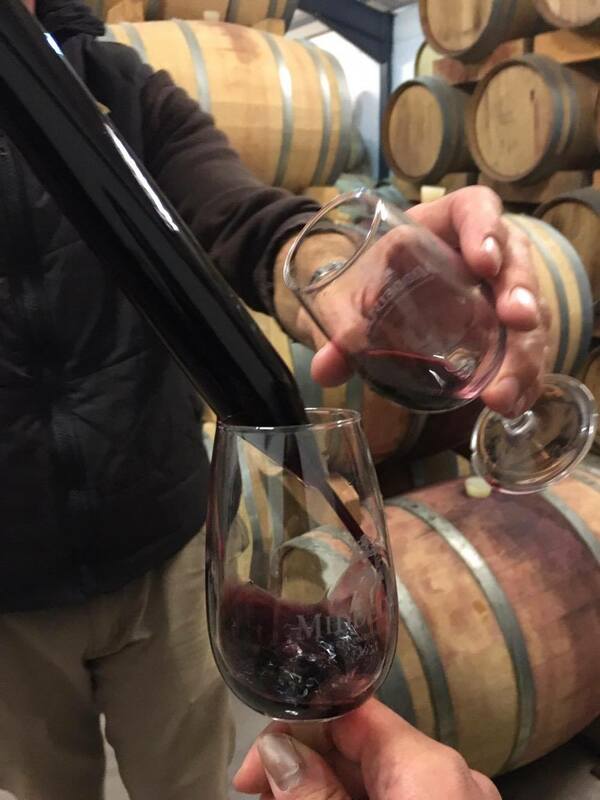 I must admit, however, my processing ability had an inverse relationship with the number of wineries visited. 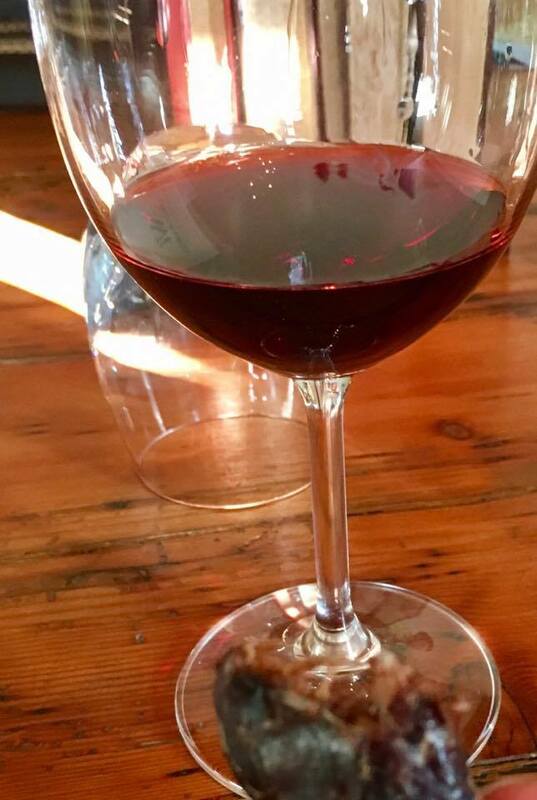 Don't underestimate the amount of wine they pour, it adds up over the course of the day. Overall, an incredibly enjoyable experience. 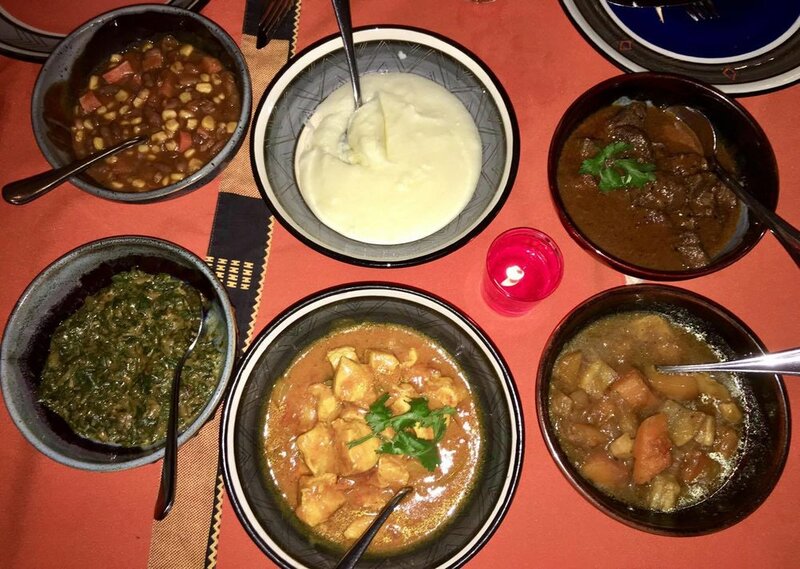 A restaurant suggestion for African fare in Cape Town: Gold Restaurant offers nightly tasting menus and traditional performances with your meal, for a very agreeable price. 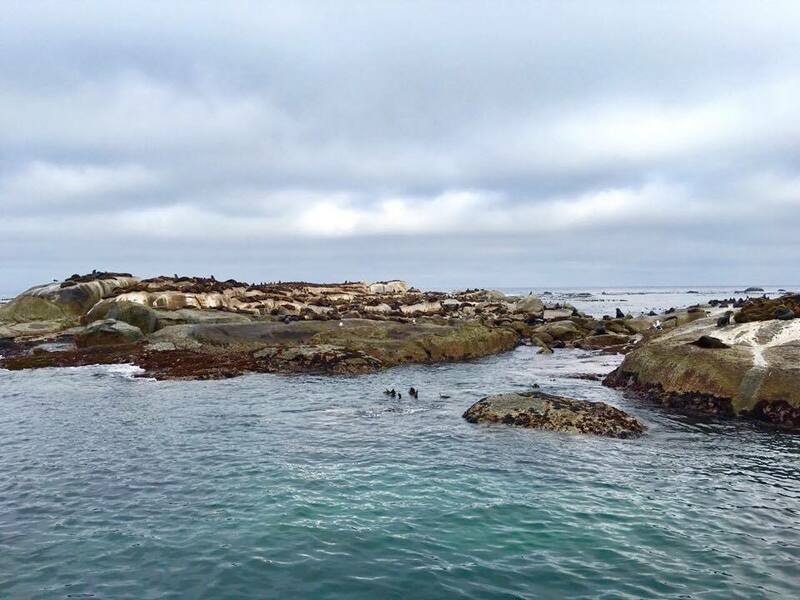 The Cape of Good Hope, as the designated official southernmost point of the African continent, is a popular as an day-trip outside of Cape Town. 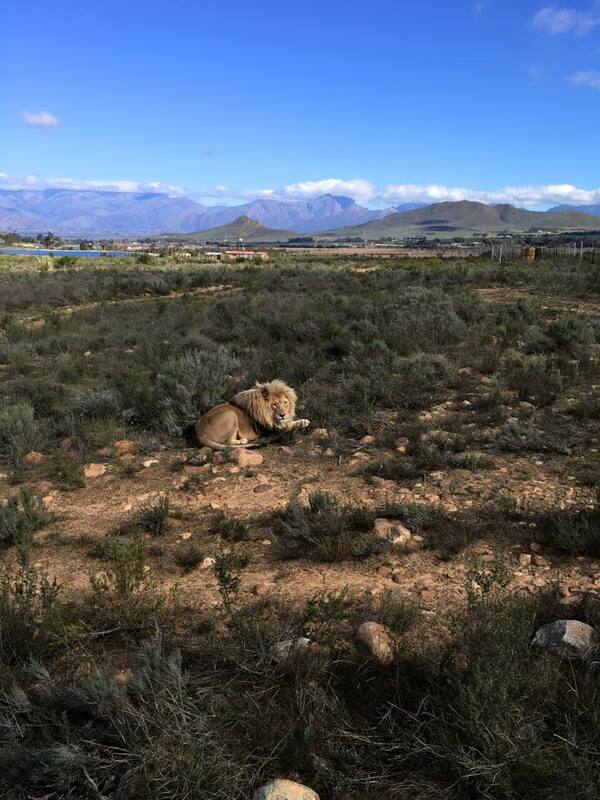 Its just a few hours outside the city, and has interesting stops that each feature a different animal, it seems, along the route. 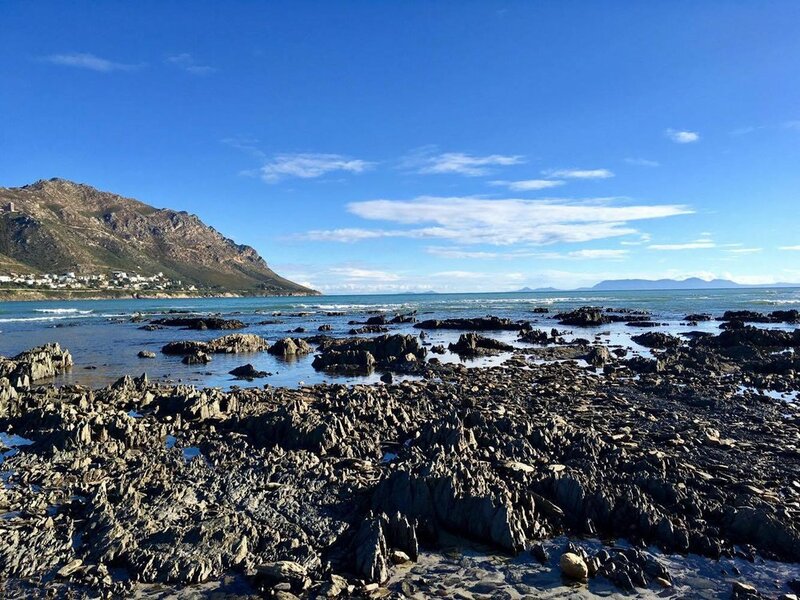 A typical first stop along the way is Hout Bay, where one can go on a boat excursion to see nearby seal island, named for its dominant inhabitants. 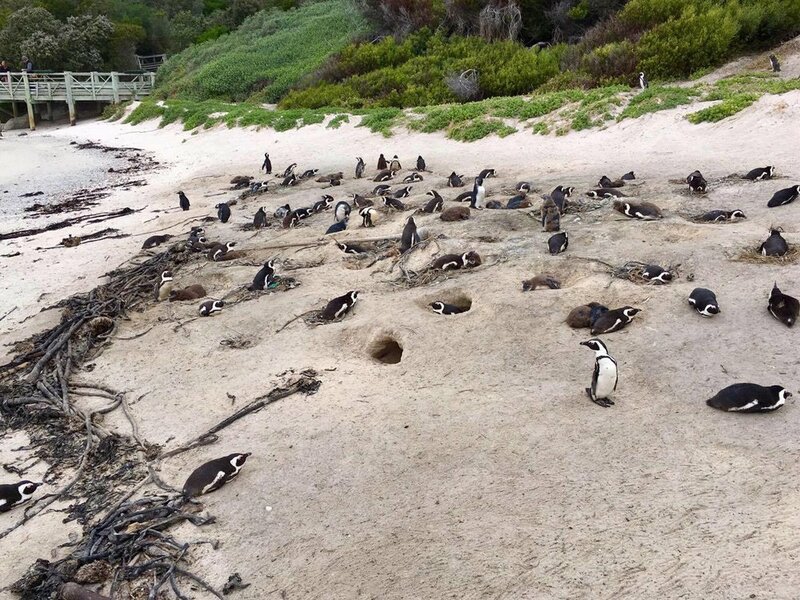 Stop number two was Boulder's Beach, famed for its abundance of African penguins. If you have trypophobia, I apologize in advance for the third photo. 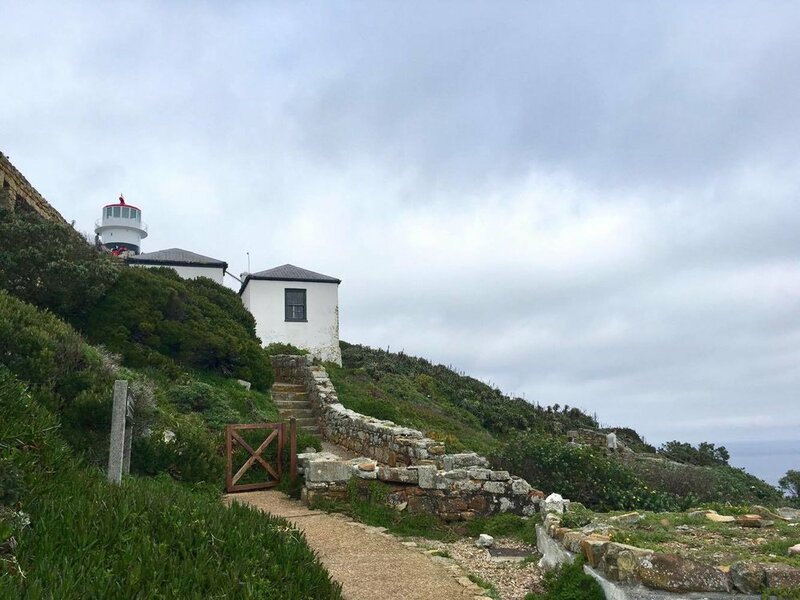 Prior to our destination we arrive at Cape Point, which features a lighthouse, and interesting enough, lots of baboons. A word of warning, though used to the public, male baboons will get very excited around those wearing pink pants or shorts. I'll leave you to google the biological reason. 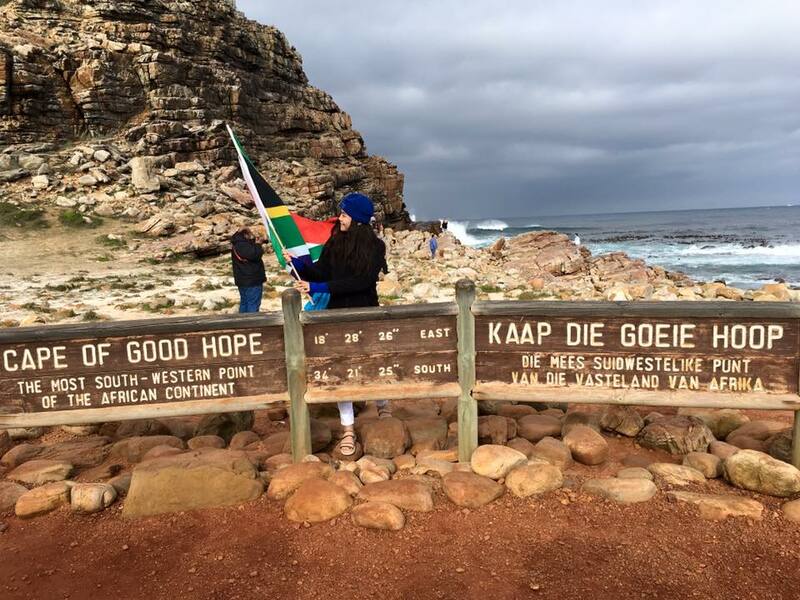 And at last, we arrive at the Cape of Good Hope. Someone happened to have a South African flag on hand for the photo opp, it seems. 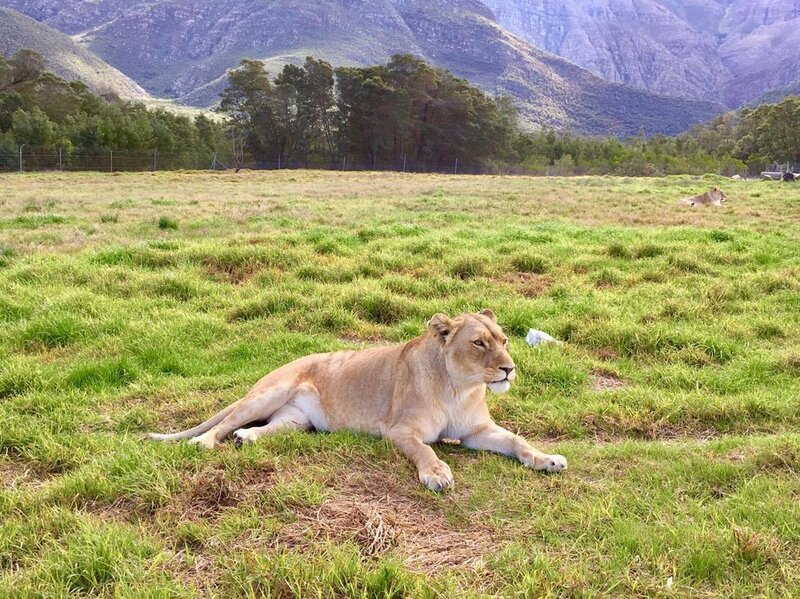 I visited Gordon's Bay, South Africa in mid-2016 to volunteer in women's empowerment with the GVI organization. (In this case, not an aimless wandering to this locale). 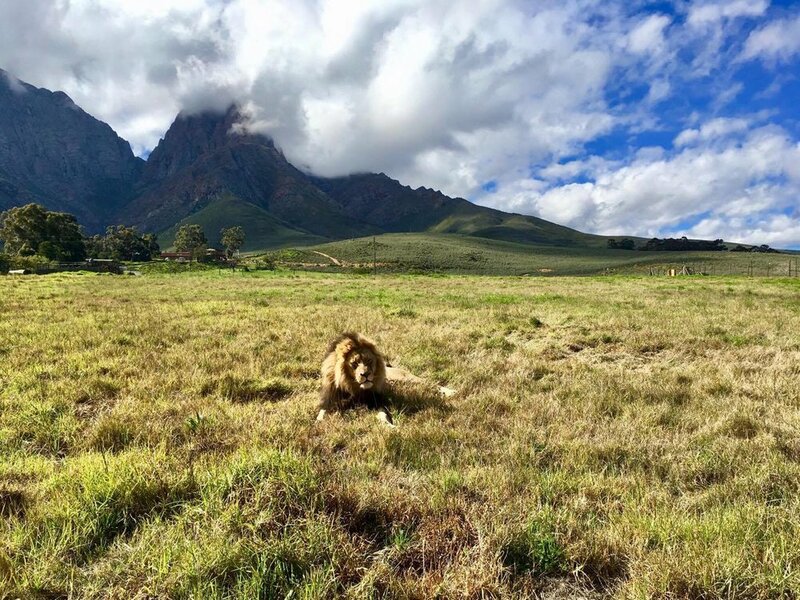 Approximately an hour from Cape Town, the town itself is breathtakingly scenic. 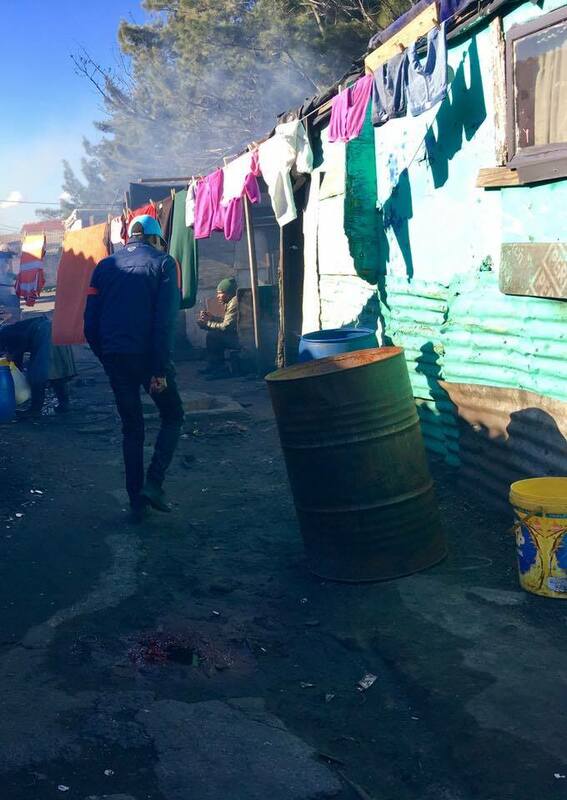 The opportunity arose to visit the nearby Langa Township. Townships are local communities that remain in South Africa from the Apartheid era. 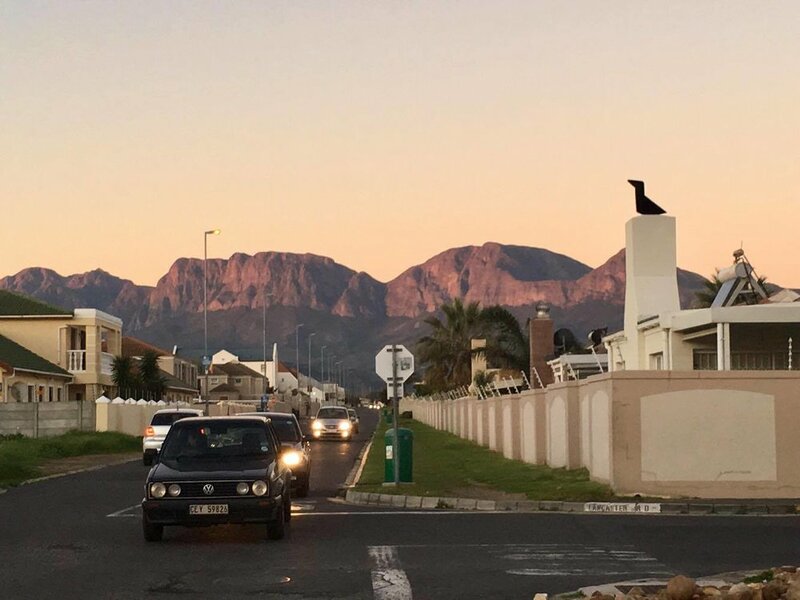 Though often plagued by poverty, the locals who reside in these townships feel a strong connection to each other, and pride for their home. 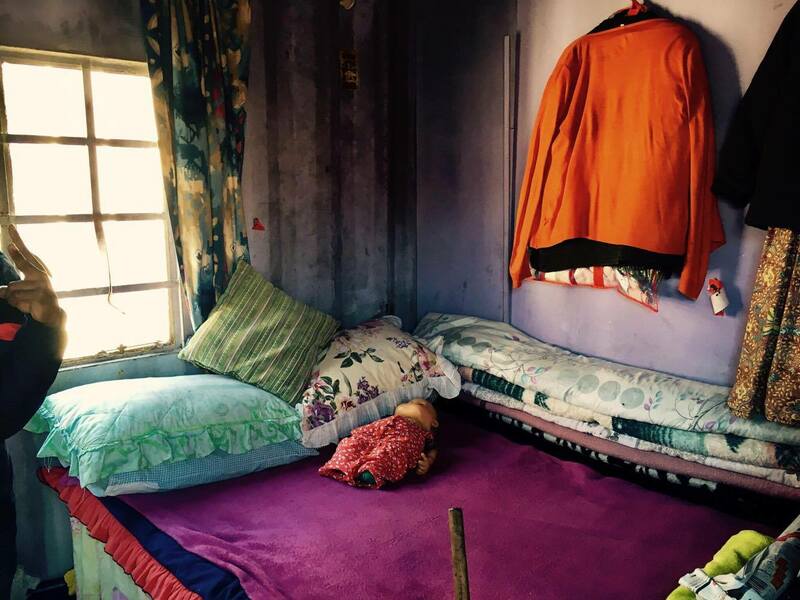 The tour offered a chance to peak into the living conditions and residences of locals, with their permission. 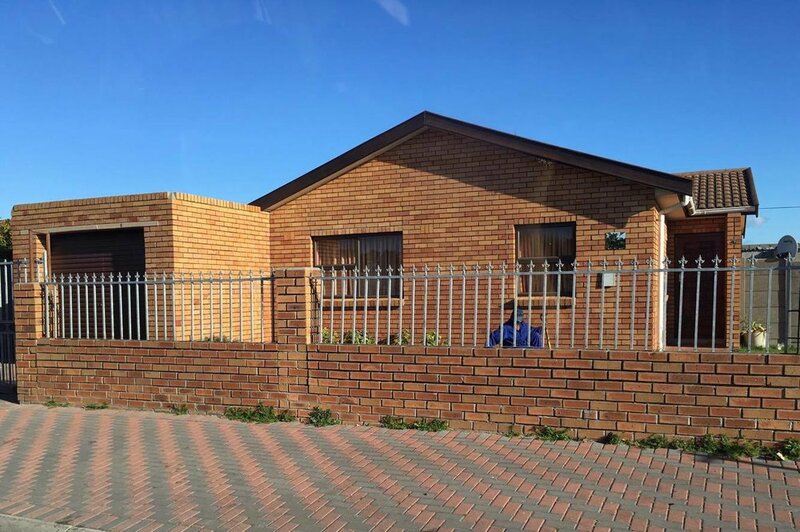 Even within a township, there are varying levels of affordability in terms of housing. Many families of eight or more find themselves sharing shipping containers, that often are subdivided into two. This means that a single container can often house twenty or more individuals (two families). 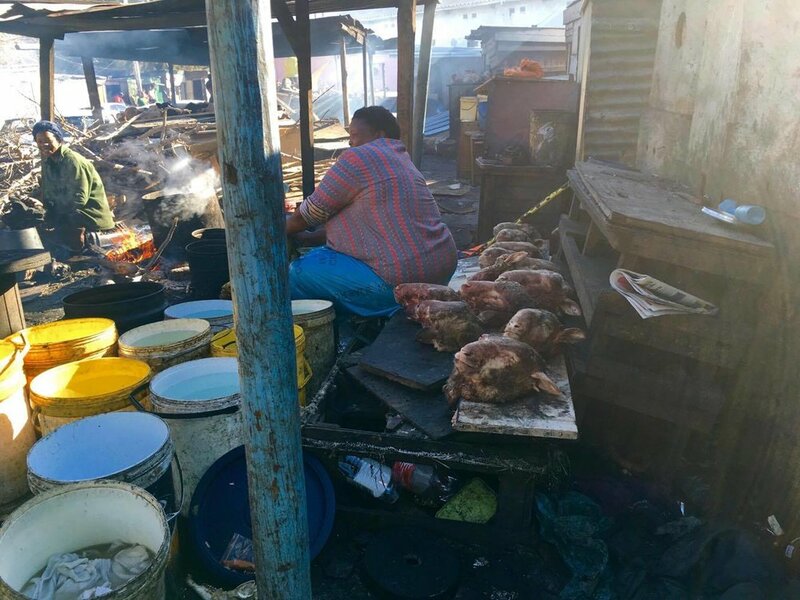 Others find build themselves shacks with dangerous electrical wiring that can often cause fires, and floods during the rain. 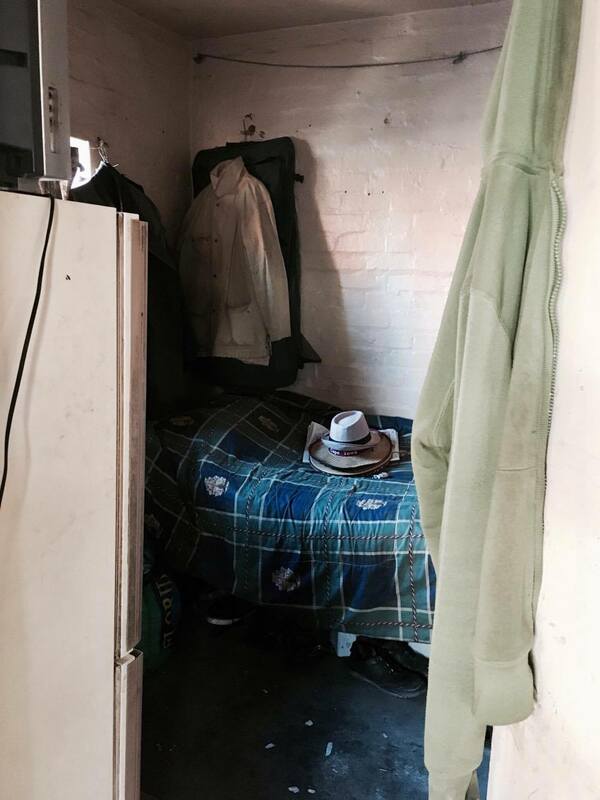 Slightly better conditions can be found in the leftover boarding houses of a bygone, Apartheid era. 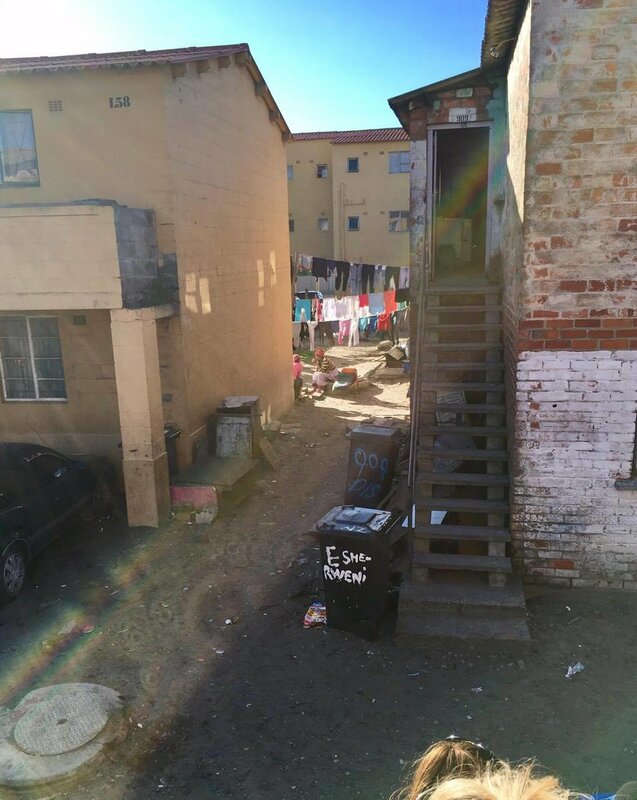 Discriminated workers who worked in nearby Cape Town were not allowed to live within city limits, and had to reside in these boarding houses some distance from the city proper. 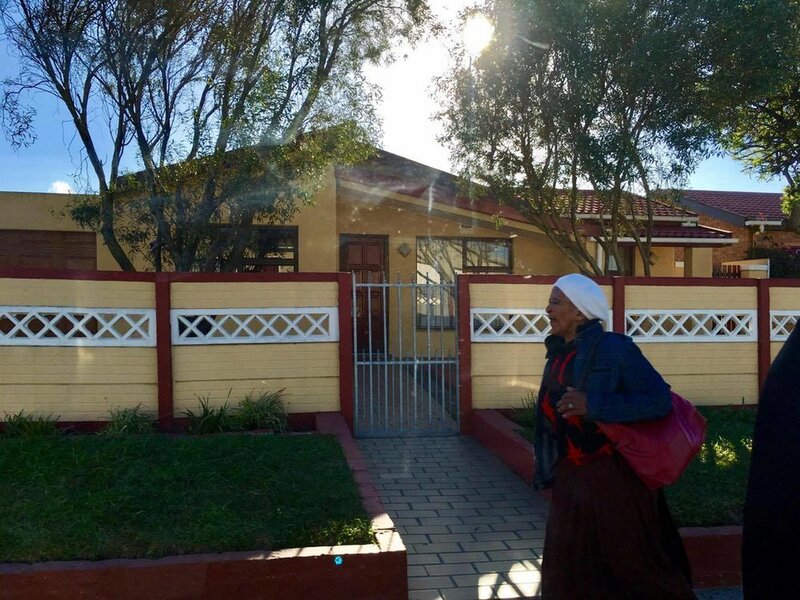 After the end of the Apartheid, these units were remodeled to house residents of the townships. A local hair salon. There are many scattered throughout the township. The wealthiest in the neighborhood live in a region known as 'beverly hills.' Houses in this area are often single story homes, in rather stark contrast with some living quarters of others in the township. 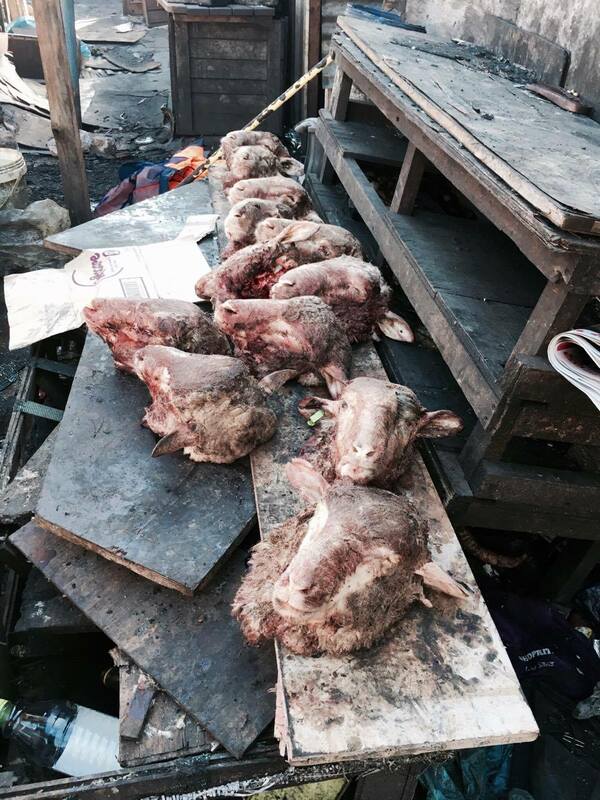 A delicacy unique to townships is called 'smiley,' a goat's head roasted over open fires that results in the goat head seemingly smiling. 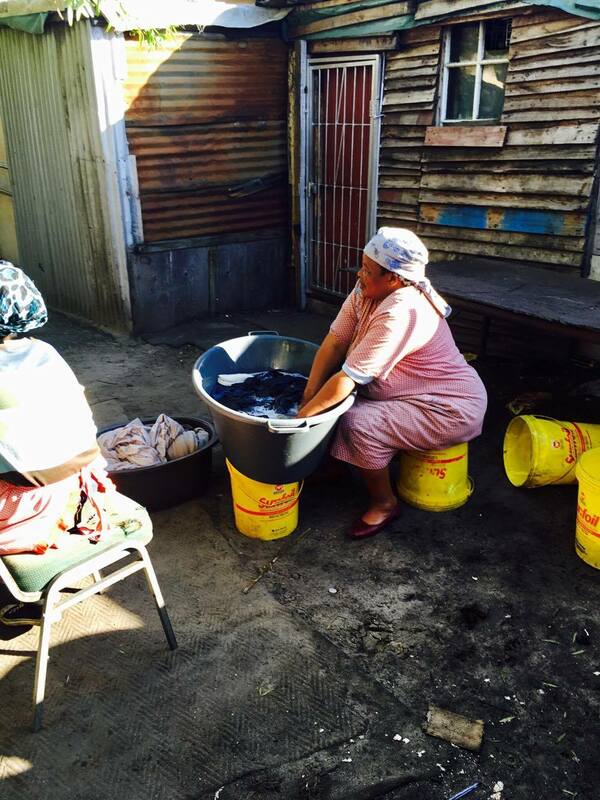 Women in the townships roast these heads throughout the community. The eye ball (last photo) is also viewed as a fine treat. Finally, locals here own and operate bars where they brew in-house beer. 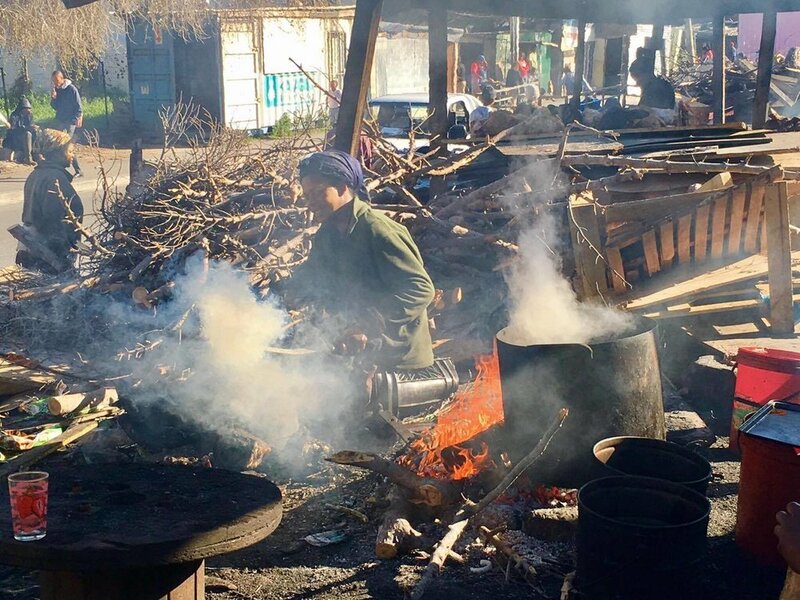 Giant steaming vats of home-made beer are made on the wide of the street outside the establishments, and are sold by the bucket, meant to be shared. 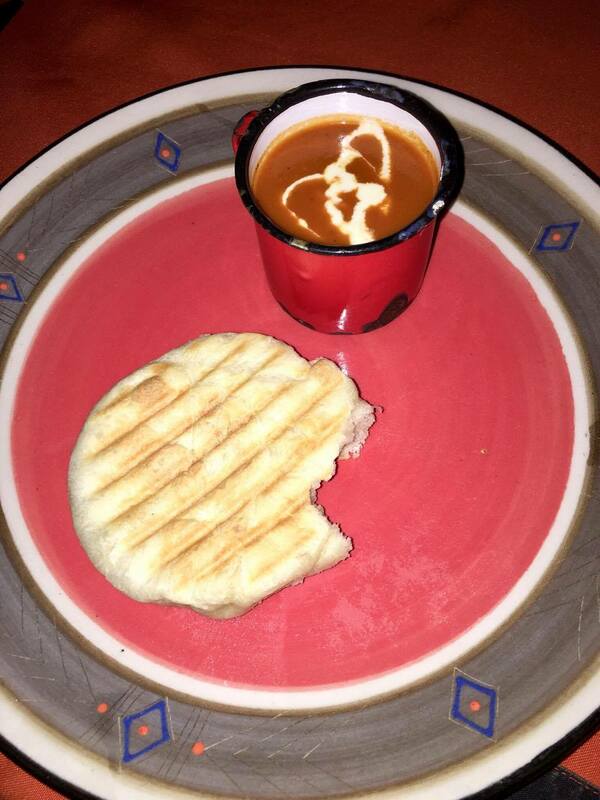 If you have the opportunity to sample it: its definitely an acquired taste. 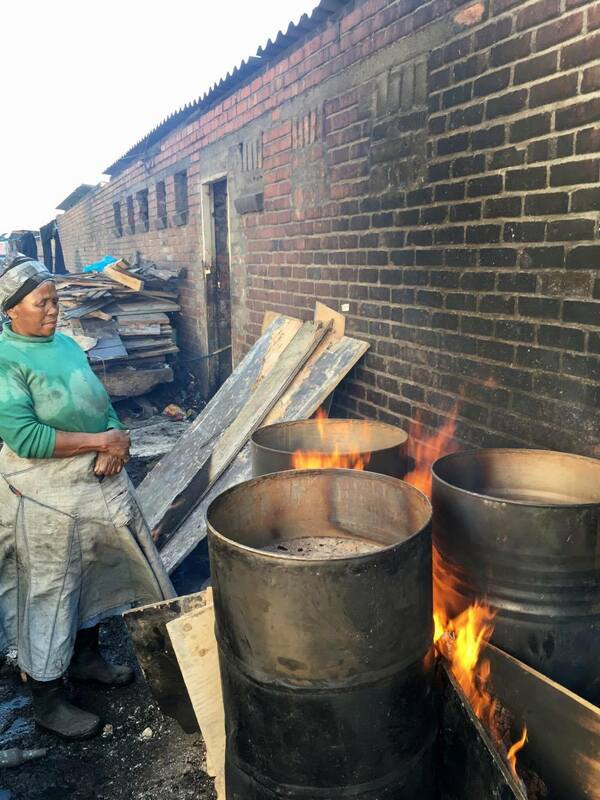 Township tours are increasingly popular and often operated by residents of the communities as a means to earn money. So long as one is respectful, it makes for an interesting cultural experience. 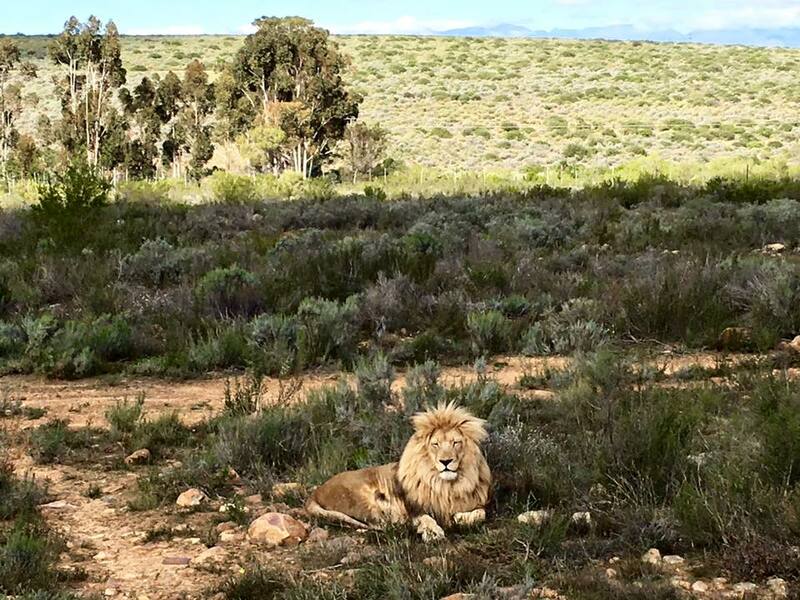 On safari at the Fairy Glen Private Game Reserves just a few hours outside of Cape Town. Worth a visit despite the blistering cold, though they do provide blankets on the vehicle that takes you around the reserve. Note: the vehicle isn't enclosed in any way, though its quite elevated to ensure safety. The Caribbean: feat. St. Marteen, BVI, & the Bahamas. Idyllic doesn't begin to describe it. Half of the island of St. Marteen is French, and the other half is Dutch, so there's excellent food on the beaches (see last photo). Oasis of the Seas...back then the largest ship in Royal Caribbean's fleet. My trip to Alaska was via cruise ship, in the summer. Not necessarily the best way to see the state's full wilderness, this method of travel did provide a relatively comprehensive overview of the region. For those looking for convenience, traversing Alaska via cruise may be a good choice. Over the course of 7 days, we sailed the Pacific and inside passage to the towns of Ketchikan, Juneau, and Skagway. Our first stop was Juneau, proximate to the famed Tracy Arm Fjord. One of the best ways to see the fjord is probably to book yourself a seaplane tour that flies over the region. Though I fly relatively often, I dislike turbulence quite intensely, to which small planes are especially prone. 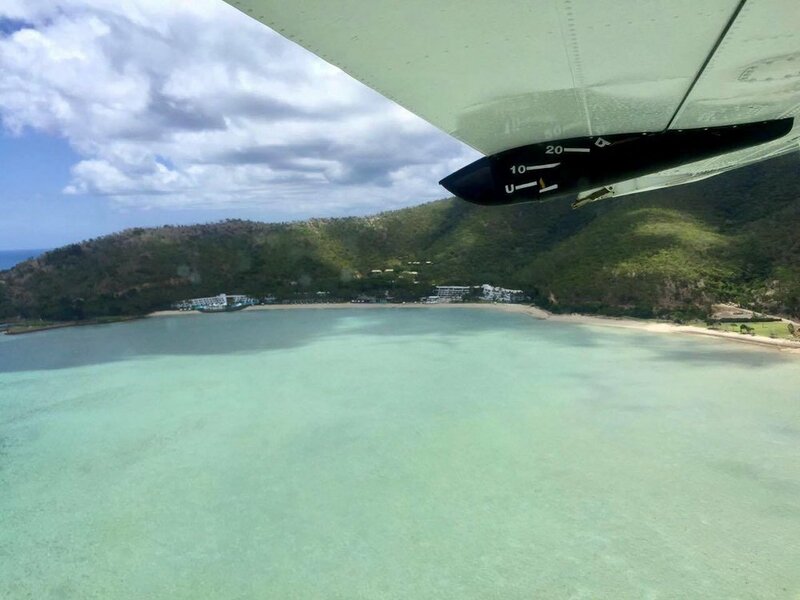 But though it can get windy in the region, the flight was a relatively calm, as the plane's engine hummed to the bewitching scenery below. I happened to go dogsledding twice on this trip, because it was such an incredible, and nouveau experience for me. My favorite trip took us via helicopter out to the Mendenhall Glacier, where a small expedition site awaited with adorable huskies. I distinctly remember a particular fact our guide shared with us about the breed: that huskies can shed up to two trash bags of hair during the summer. 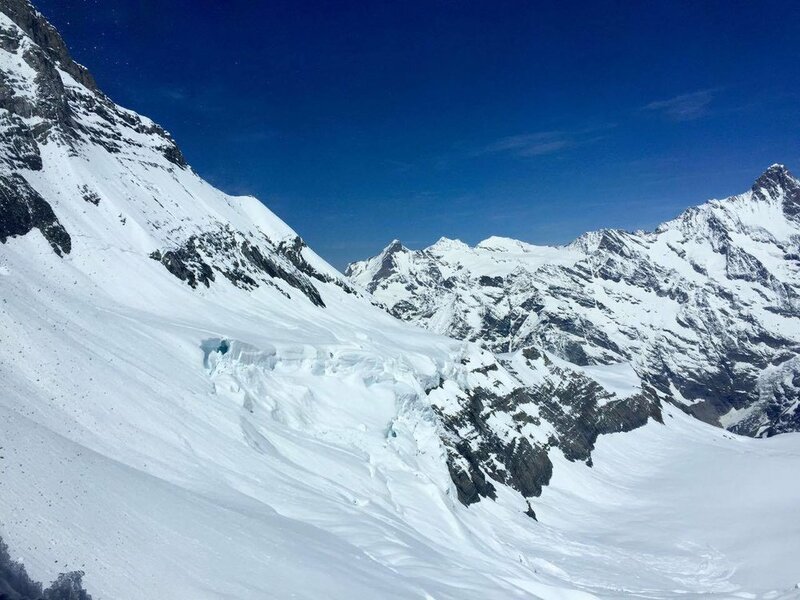 A radical departure from the spring-esque ports-of-call, the surface of the glacier can seem like a completely different world. 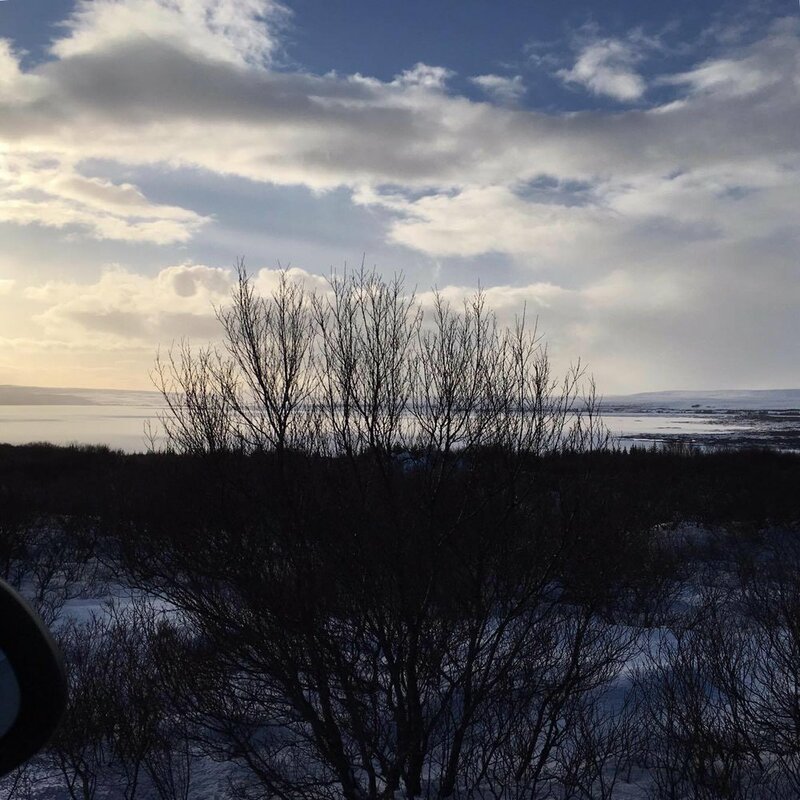 It can get quite windy on the surface, so windproof jackets, and gloves, are a must if you're planning a visit. And of course, the enchanting huskies with their formidable strength. Huskies at the sight are very well cared for, and seem to be incredibly energetic and happy. A puppy I met on the glacier. Wanted to take him home. Didn't make it past the helicopter. Still think about him sometimes. Overall, a highly recommended trip for anyone visiting the Skagway or Juneau area. In addition to the many expeditions that depart from Juneau, the town itself was also quaint, and also makes for a great port-of-call to relax in. Our last stop at the town of Ketchikan was less of an adventurous stop compared to the others, but a picturesque town all the same. A cute city to explore if one has a few hours to spare, I'd suggest walking around town and Creek Street, or taking a trip out to the nearby Misty Fjords National Monument. A quick interlude about the cruise-ship itself. As you'll be spending a few at-sea days entirely on the cruise, it may be wise to choose a larger, more entertaining vessel. However, most ships that embark on the Alaskan sailings won't be as large as the ones you may find in the Carribbean, for example, as the latter is comparatively a more popular destination. For my trip, we chose Princess Cruises; our ship's onboard amenities were plentiful, and well-serviced, if slightly dated. If I recall correctly, the name of our vessel was Sapphire Princess, one of the larger ships Princess owns. The pool area onboard. The large circular globes on the top of the ship are radars, integral to the geolocation and operation of the ship. Don't underestimate the importance (or popularity) of the hot-tub cruising into such a frigid region. All in all, an interesting journey exploring one of America's more remote regions. Though I had a chance to visit some of the largest towns in Alaska, if I had the chance to do it again, I definitely wouldn't miss Anchorage. 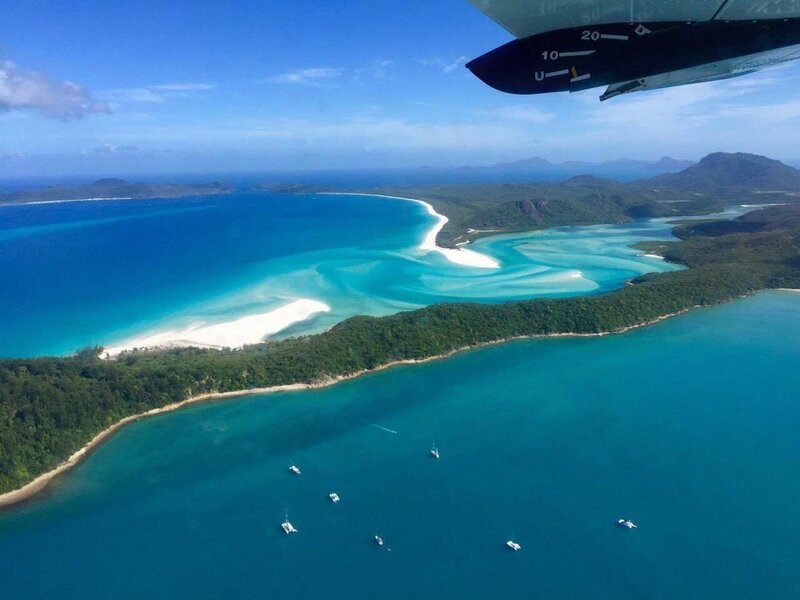 Even if one wants to take advantage of the many comforts traveling by cruise offers, it may make more sense to opt for a sailing that includes flying out to, or back from, Anchorage. This way, the one way journey allows cruises to travel deeper into Alaska, giving travelers a chance to see the truly remote regions often associated with the state. If you were feeling very adventurous, perhaps consider making the journey like these brave souls. All in all, an enjoyable trip, and definitely a worthwhile first journey into Alaska. I'll be back. 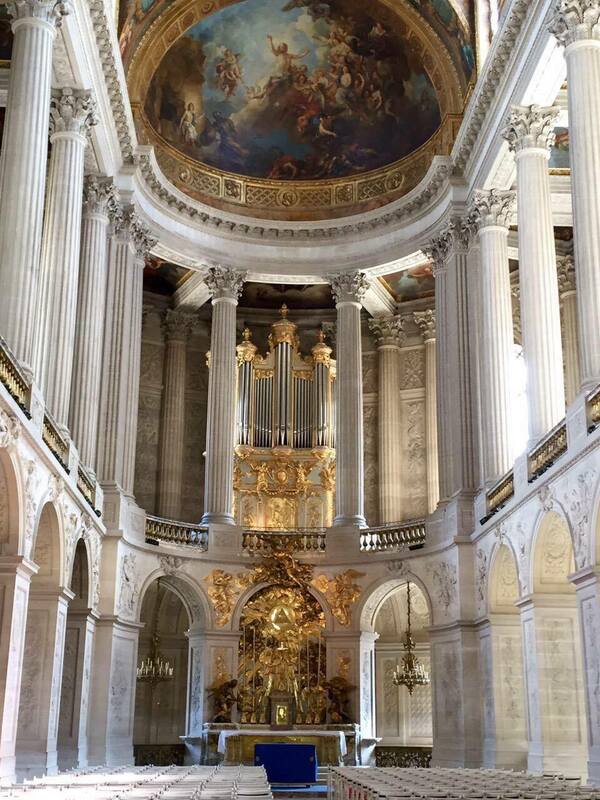 I visited Brussels on a day-trip from Paris. Arriving in under three hours on the Thalys high-speed train, seeing the highlights of the city was more than manageable, though it may have resulted in a dearth of photographs for this post. You'll see that my brief day in the city was dominated by food, with pithy interludes of historical and cultural sights. Much to my chagrin upon realizing it, my first stop in Brussels was for pommes frites. To be fair, we came across Fritland on our way to the Grand Place. (No, I made it a first stop on purpose, there's no excuse). Having been in business for over 40 years, this no-nonsense friterie serves up cones of short, uniform fries along with generous helpings of mayonnaise, in true Belgian fashion. Curiously, we discovered that the meat sticks (Brochette) and mixed meat sausages (Fricadelle) here were also delicious, if you don't mind piling on the calories (worth it, trust me).